Back in September, Arthur and I spent a few days camping at Bahia Honda State Park in the Middle Keys. One afternoon we took a break from snorkeling to visit the remarkable Turtle Hospital on Marathon. 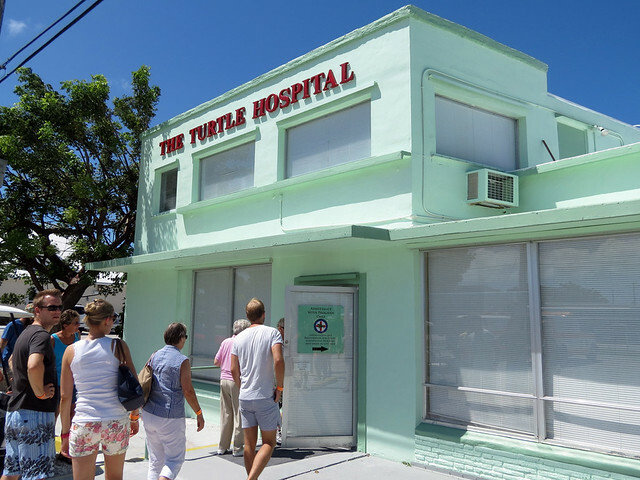 The Turtle Hospital has an interesting history. Here is a brief overview (related from signage at the hospital; any factual errors are mine). 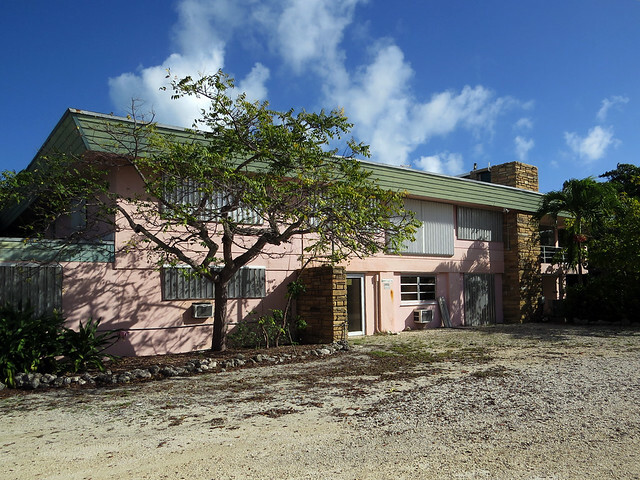 It started when a man named Richie Moretti purchased Marathon’s Hidden Harbor Motel in 1981. The hotel had a 100,000 gallon saltwater pool, which was converted to display fish starting in 1984. 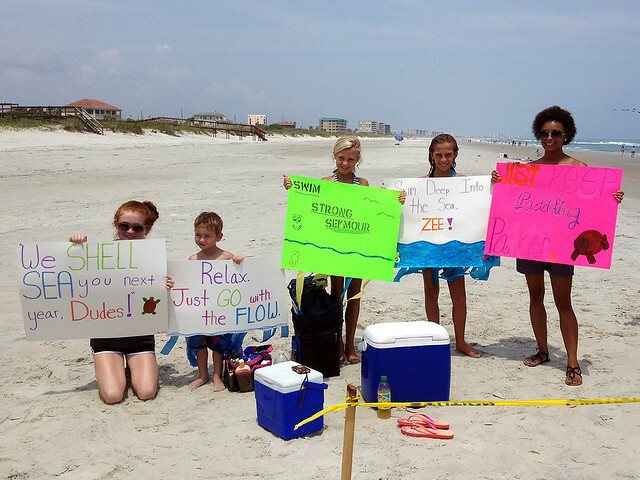 The following year, local schools started visiting the hotel pool for marine education programs. Students asked, “where are the turtles?” Good question! 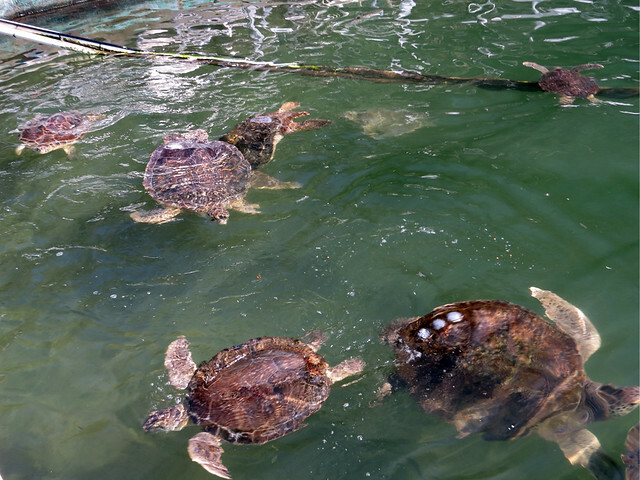 In 1986, Moretti obtained a permit to rehab sea turtles. 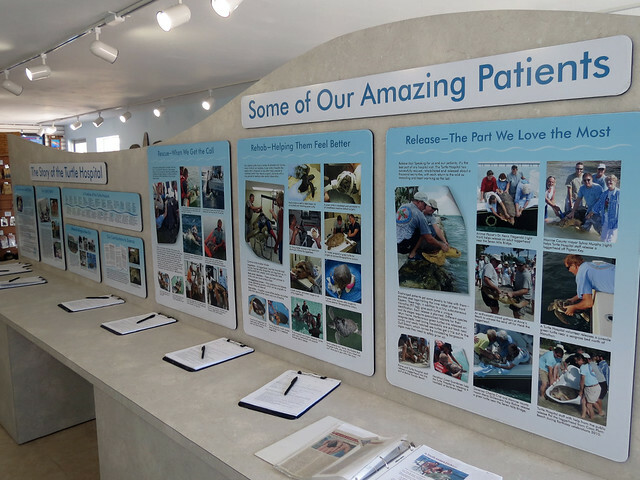 The first patient arrived at the facility, now named the Hidden Harbor Marine Environmental Project, that same year. More patients arrived. 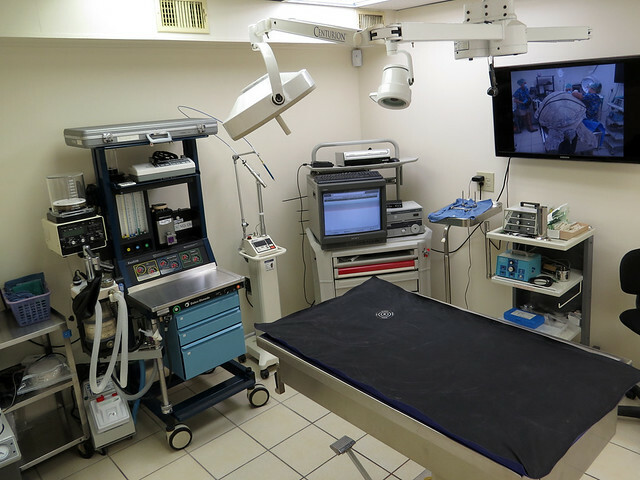 Surgeries would be performed in re-purposed motel rooms. 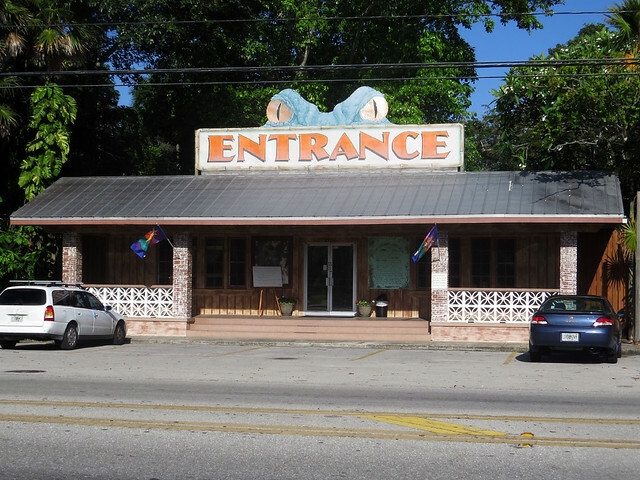 The facility expanded in 1991 when the nightclub next door to the motel was purchased. 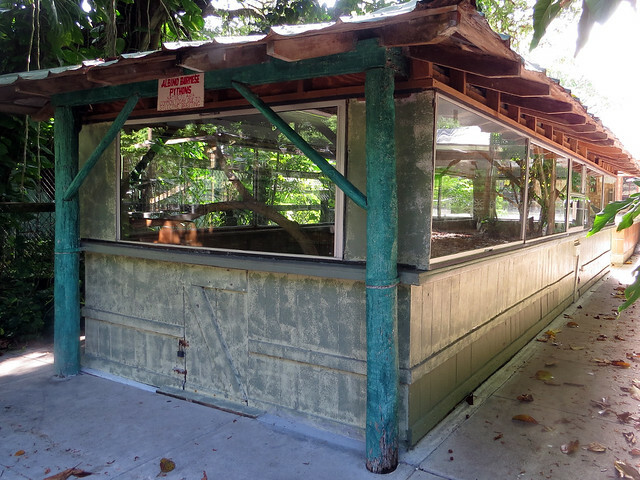 The nightclub became The Turtle Hospital in 1992. In 2005, Hurricane Wilma hit the motel and hospital hard. Flooding to the property was extensive and the motel ceased operation. 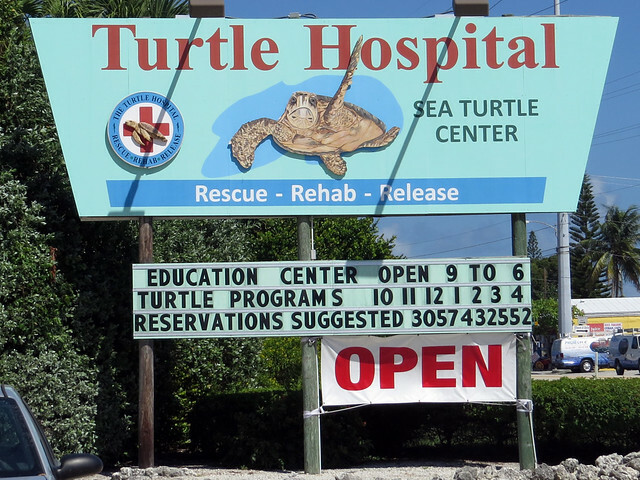 The entire facility registered as a non-profit organization and continued as a rehabilitation center and turtle hospital. 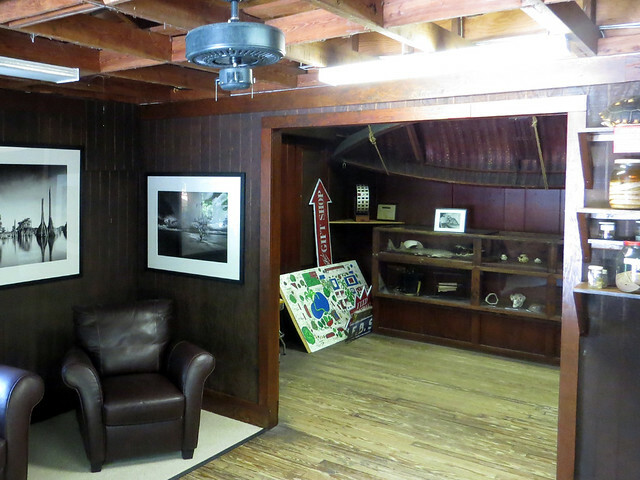 Today, the motel rooms are used (in part) for storage, and to house interns, visitors, and staff. There’s no doubt the facility used to be a motel! 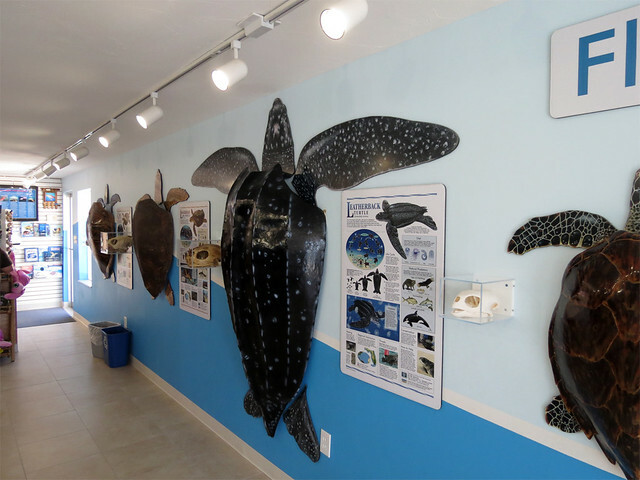 In 2010 a brand new education facility, funded by the Florida Sea Turtle License Plate, opened at the hospital. Educational tours are offered several times daily. Our tour began with a presentation on the different types of turtles that come to the hospital. The hospital used to be a nightclub! 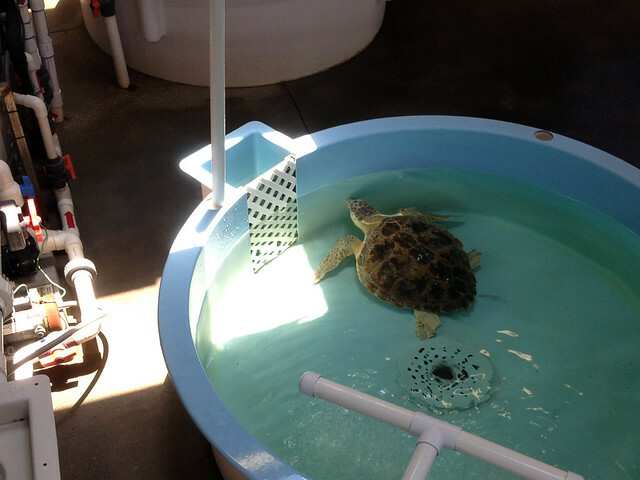 Next we got to see where injured turtles are admitted and where operations and procedures occur. We could see that the patients can be quite large! A turtle was recovering from a procedure when our tour came through. 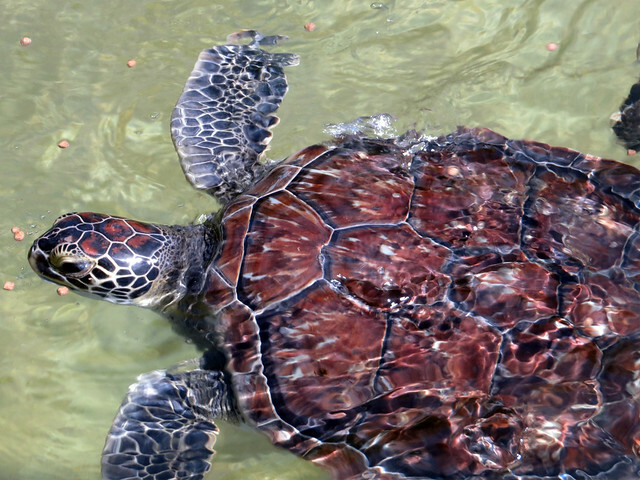 A member of the staff must stay with any turtle as it comes out of anesthesia to help it breathe — unconscious turtles don’t breathe on their own. We learned about the rehabilitation pools. 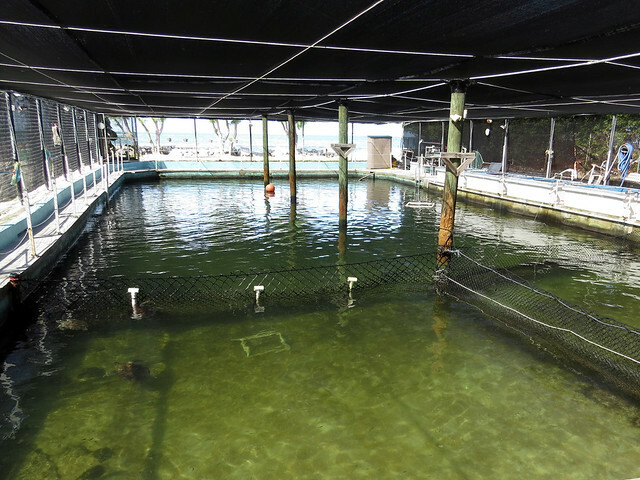 The original sea water pool houses permanent residents as well as turtles at the last stage of rehab before release. 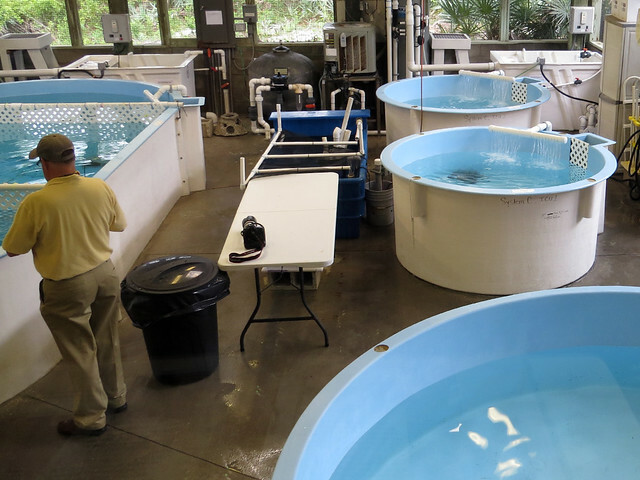 Today the facility also has additional smaller tanks that can house turtles at various stages in their rehabilitation. We learned about some of the patients. 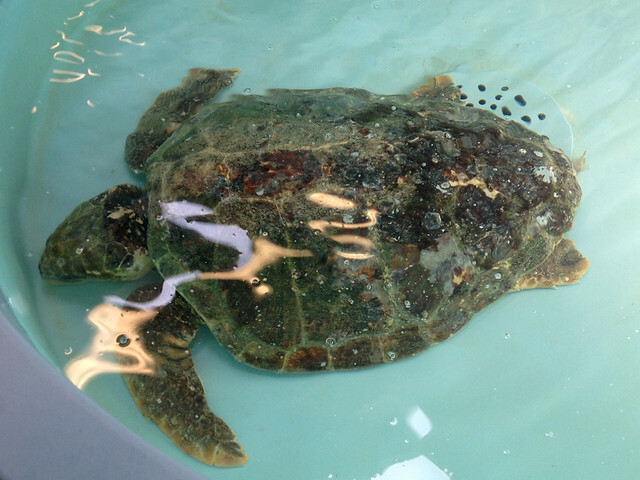 Jack was a Green Sea Turtle with the condition Fibropapilloma Virus. This may manifest as large growths, which can be seen on Jack’s front left flipper in this photo. 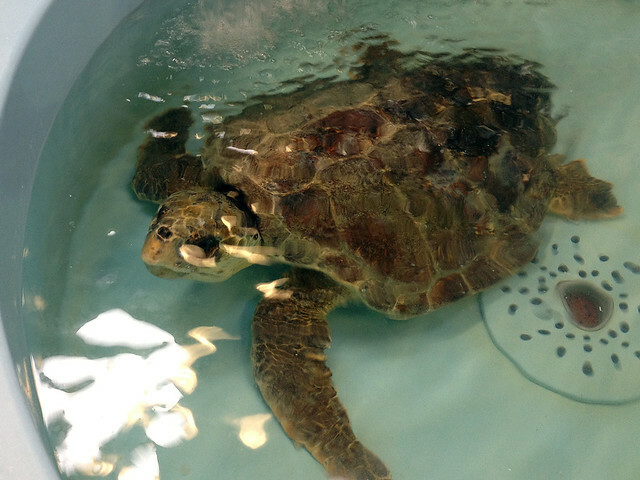 Xiomy was a Loggerhead Sea Turtle that was found in Islamorada as the victim of a boat strike. She had been admitted on July 29th, 2013. Xiomy was released in October. 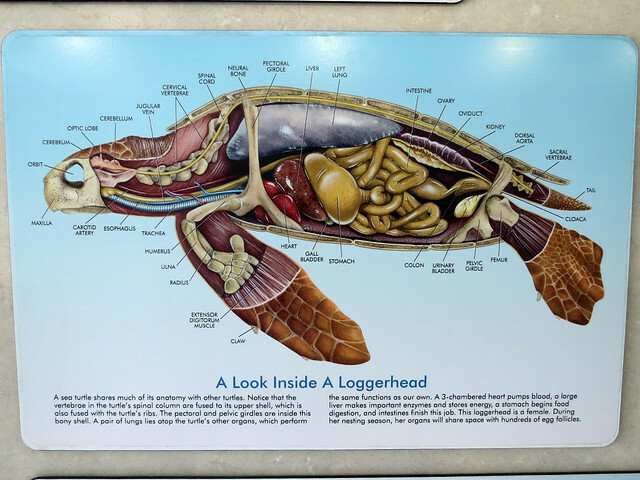 We were surprised to learn that the hospital had an education turtle in residence. 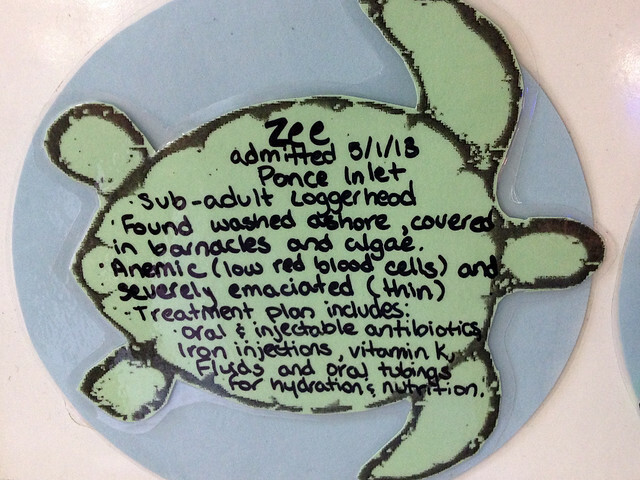 Zippy the Educational Ambassador is a Loggerhead Sea Turtle that came to the Hospital from Gumbo Limbo on July 28th, 2013. 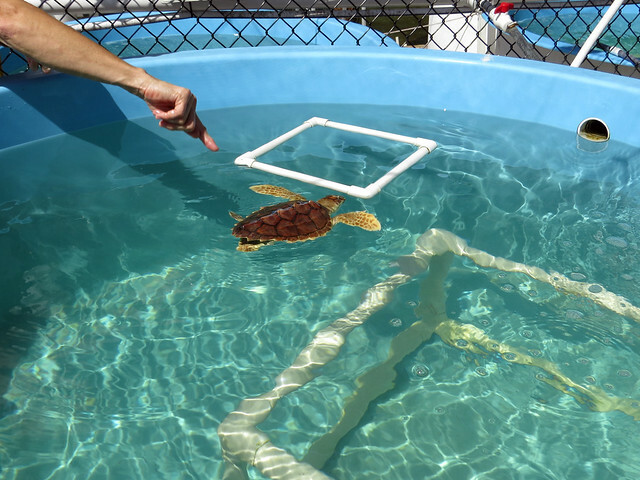 Florida Atlantic University has a research facility at the Gumbo Limbo Nature Center; hatchling turtles are studied and then released. 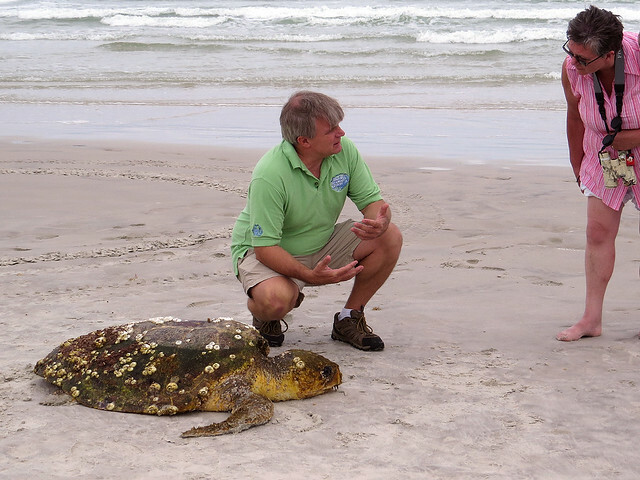 Zippy was kept to be an education ambassador; if I understood correctly, Zippy will eventually also be released back into the wild (with a very big head start!). 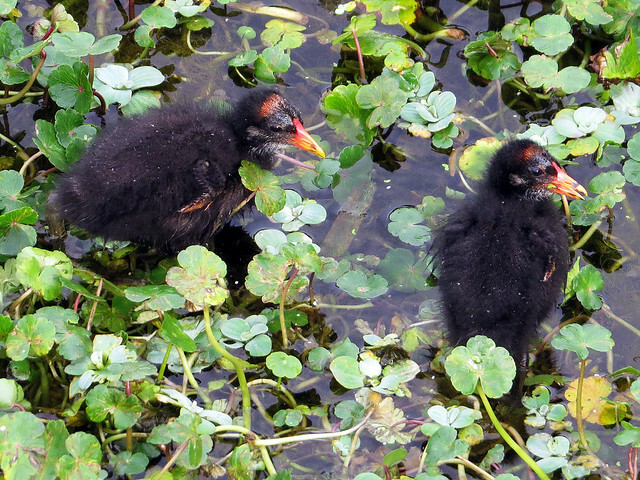 A few little hatchlings were in one of the tanks. 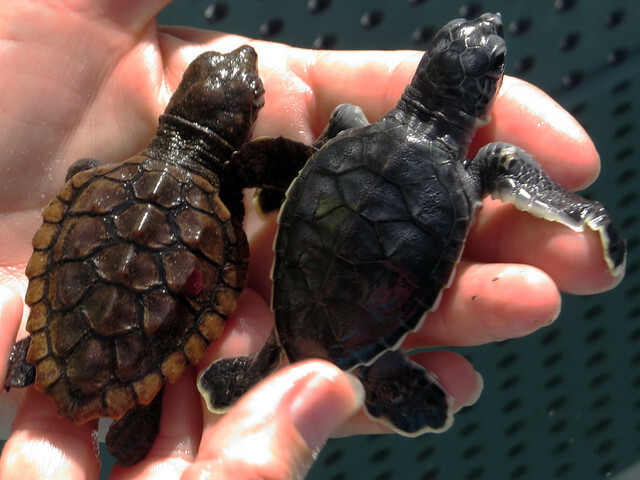 These healthy little turtles would soon be released. 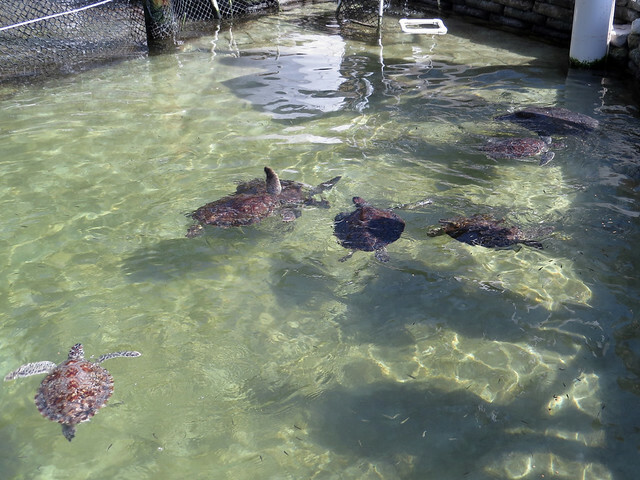 Finally we spent some time looking at the large pool, where we could see healthy turtles nearly ready for release as well as the hospital’s permanent residents. 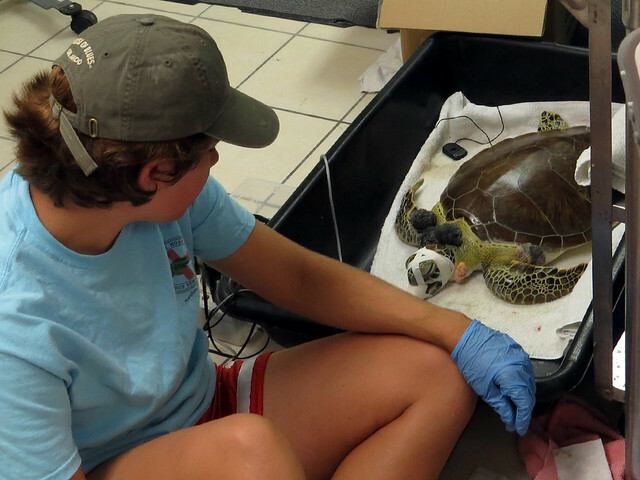 The hospital has capacity to care for adult sea turtles that are no longer able to survive in the wild due to their injuries. 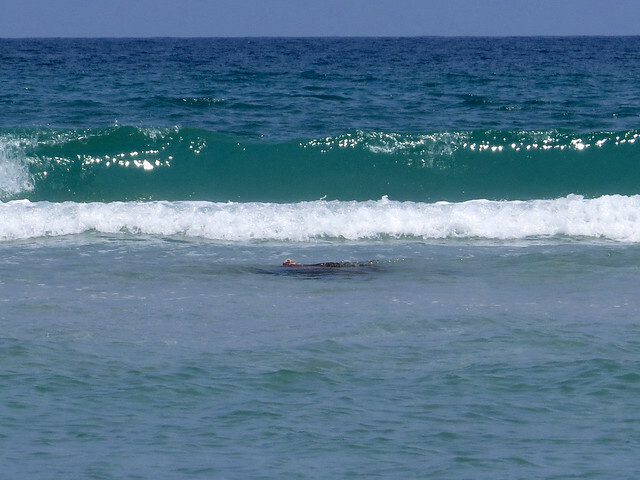 Note the three round masses on the back of turtle in the lower right of the below photo. Those are weights; the turtle is unable to properly regulate its buoyancy on its own. Another turtle in the photo has one weight on its back. 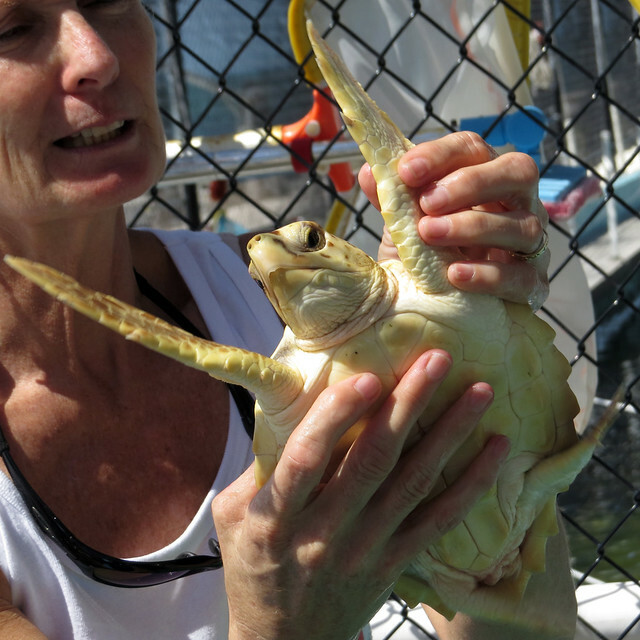 We had a great time visiting The Turtle Hospital, and seeing the great work they do there. 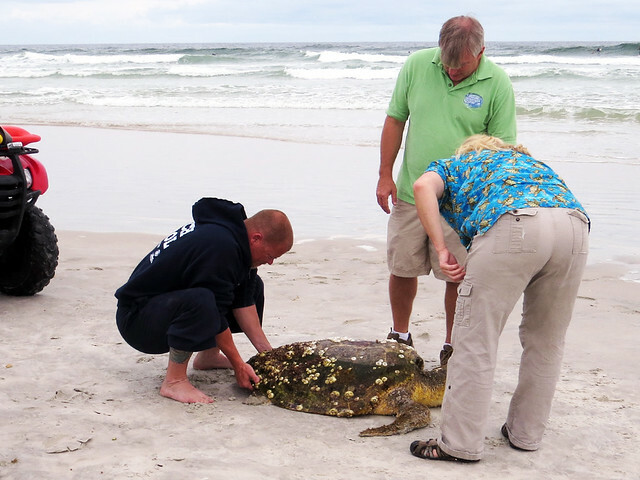 They have released over 1000 rehabilitated sea turtles back into the wild since 1986. 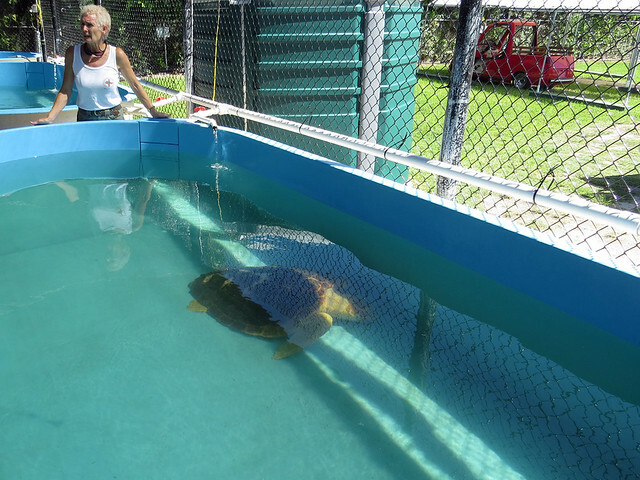 Sometimes they invite the public to release events — they just released two turtles on February 14th. 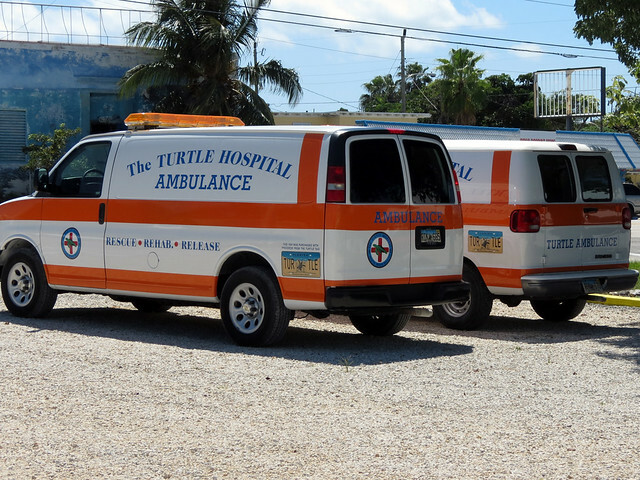 Keep an eye on The Turtle Hospital Facebook page to keep up with the latest news. 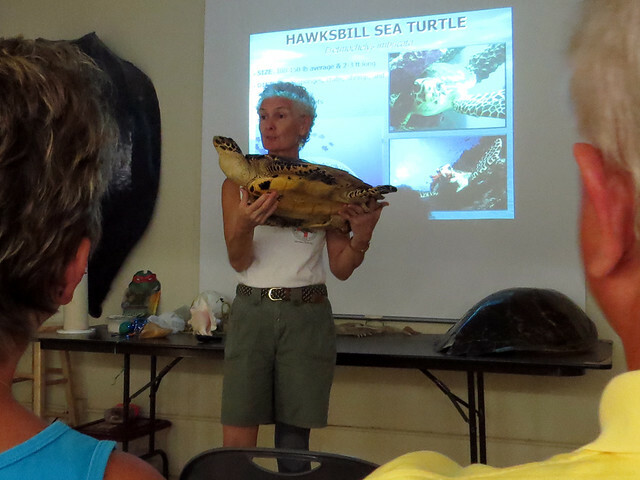 During the weekend of December 7, Arthur attended a sea turtle rehabilitation conference in Marathon. Lucky me, I got to tag along and amuse myself for a day and a half in the Middle Keys. On Saturday, I spent nearly the entire day at beautiful and historic Crane Point, a rare wild space. 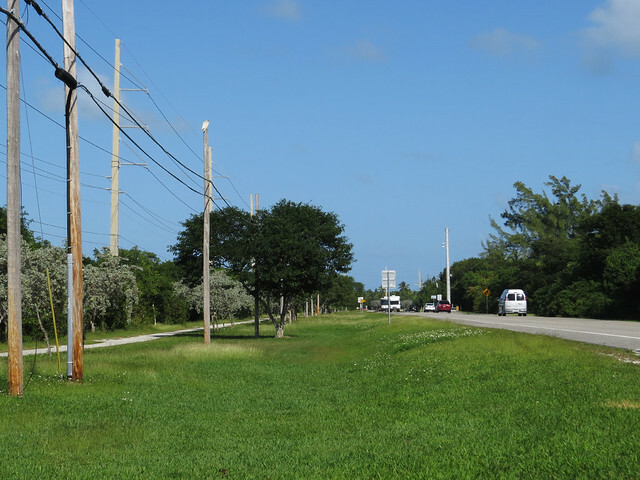 The first settler on the current Crane Point property was George Adderley, who came to the Keys from his home in the Bahamas in 1902. 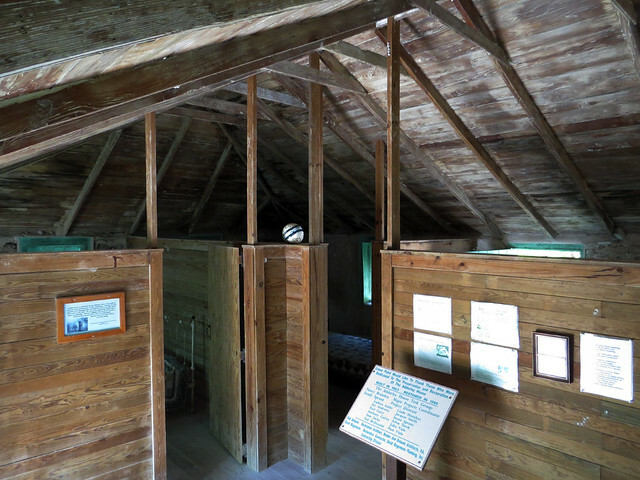 He built a traditional Bahamian stone home where he lived with his wife, Olivia, and their adopted daughter. Adderley made his living by sponging and making charcoal from wood. Adderley’s restored home still sits on the property, in the area where a small settlement known as Adderley village once stood. The Adderleys lived on their property until 1949, when they sold the mostly untouched land to Francis and Mary Crane, a wealthy couple from Massachusetts. 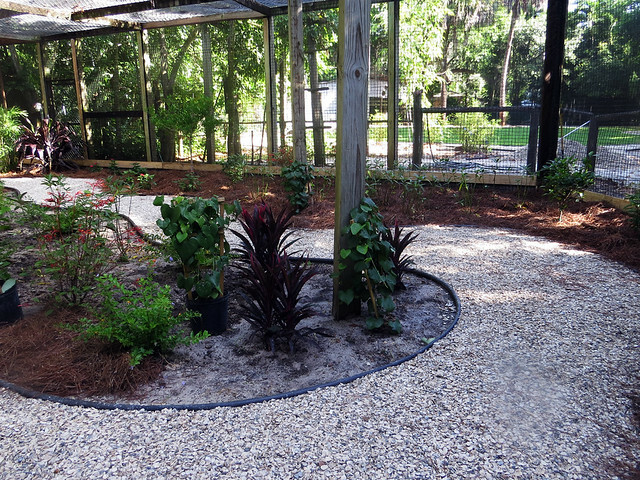 The Cranes built a modern Art Deco-style home on the property, and added a few exotic trees and shrubs. 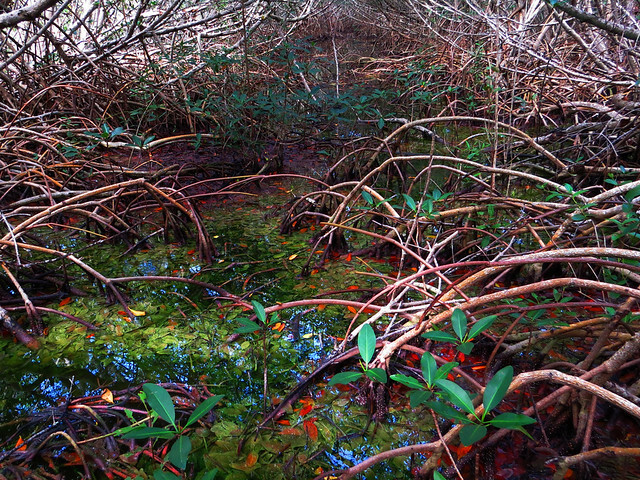 For the most part, though, they left the hardwood hammock and other native habitats untouched. The Cranes lived on the property they renamed Crane Point until 1979. 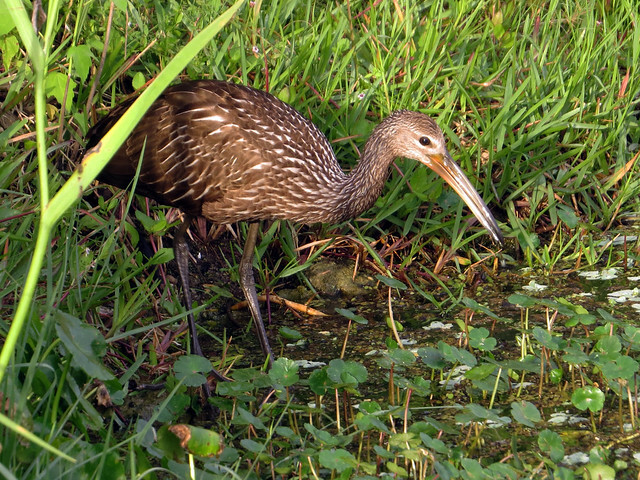 Today the 63-acre property is owned and managed by the Florida Keys Land and Sea Trust. 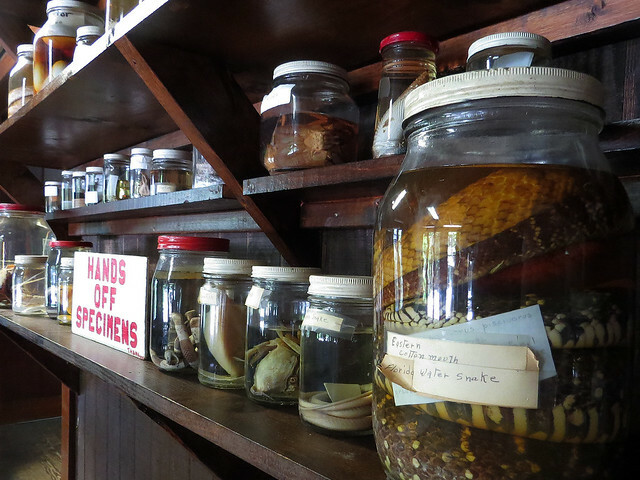 Along with Adderley’s home, the site is also host to a history and nature museum, the Marathon Wild Bird Center (a bird hospital), the original Crane house, a replica Florida Cracker home which holds a collection of natural artifacts, and more. 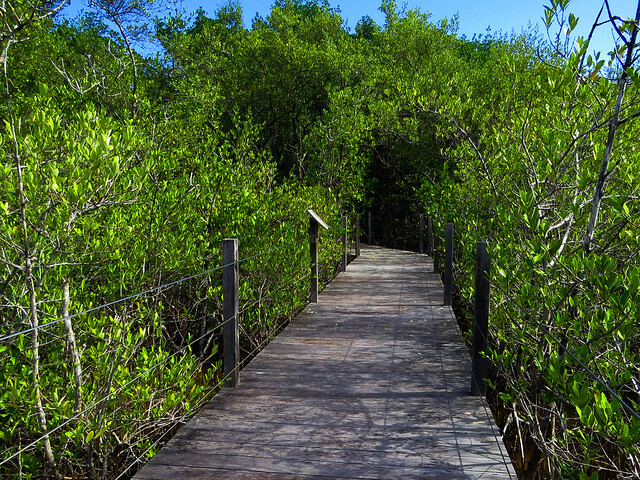 There are interpretive nature trails leading from the museum and gift shop to the end of the property as it reaches into Florida Bay. 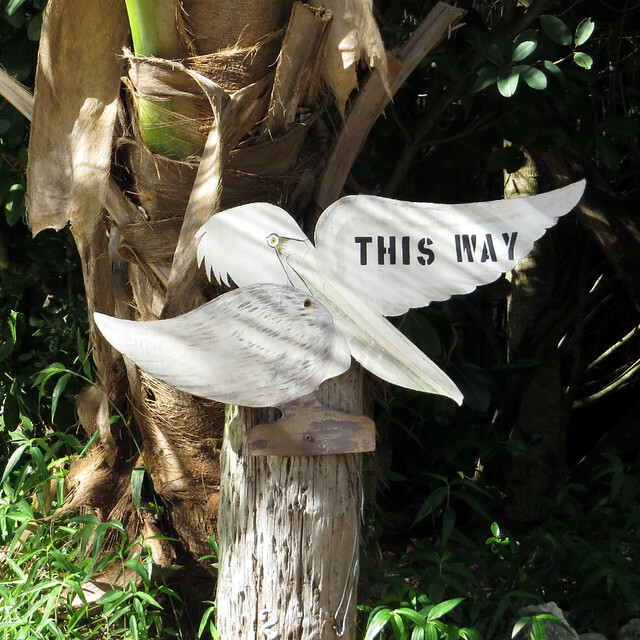 Visitors can explore the trails and attractions at their own pace. 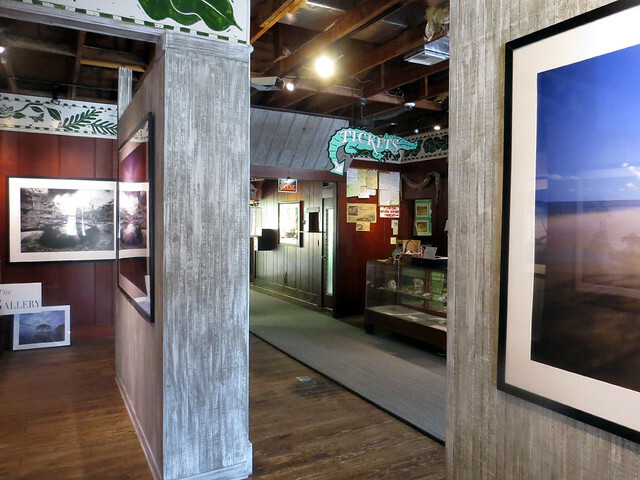 It’s a good idea to start any visit with a viewing of a short documentary on the history of Crane Point. I really enjoyed my visit to Crane Point. 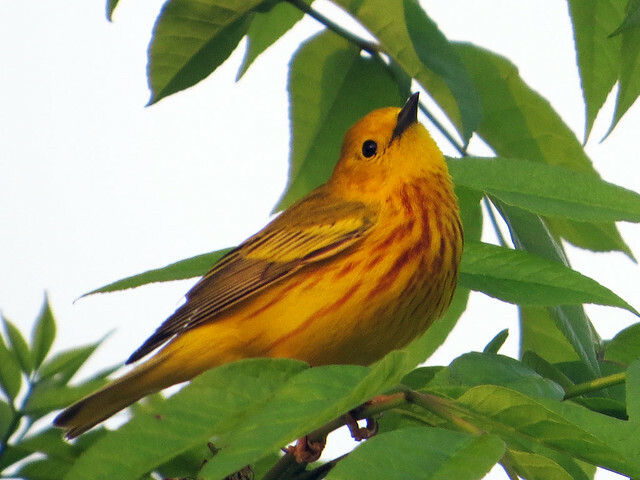 While not particularly birdy, I had a good time walking along the trails and reading the interpretive signs about the unique trees and plants found there. From the Point I saw a small Nurse Shark swimming in the shallow water. As I scrambled up the rocks to get a better look at the shark, I was extremely surprised to see an octopus working along the rocky edge of the island. I sat on the rocks for a good half hour waiting for the octopus to emerge; they have such amazing camouflage and are so clever I realized the creature may have slinked past my view out in the open and I may have missed it! I wasn’t done exploring by the time noon came around. I left to have a quick lunch at a nearby deli and returned in the afternoon to have a proper look at the museum and to walk the trails again. I saw even fewer birds than I had in the morning. 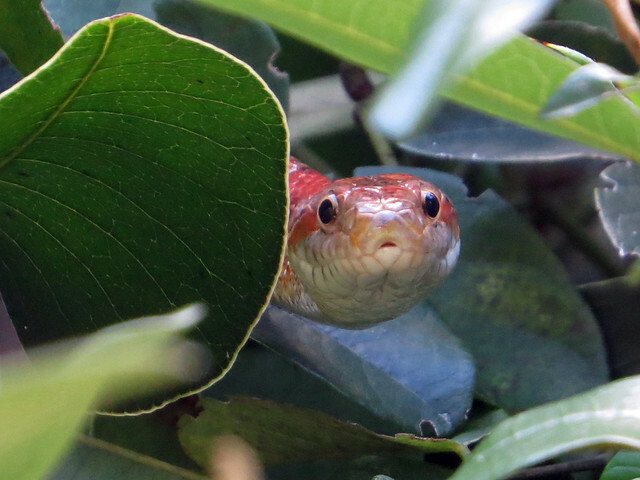 I did get to see a pair of young raccoons slinking along the mangroves and further down the trail an agitated squirrel conveniently pointed out a corn snake slithering around a mangrove tree at about eye level. I spent more time at the Point, sitting at a picnic table in the Crane House gardens. 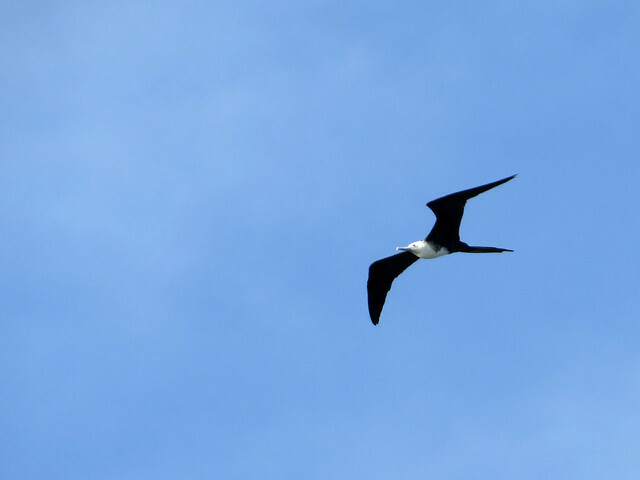 There I had my best looks ever (but no photos) of a Magnificent Frigatebird, an adult with a bright red throat patch. 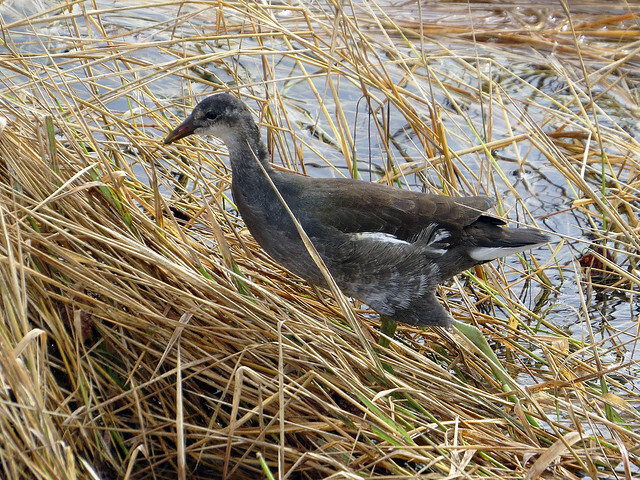 It had a fish in its beak and was being chased by a couple of gulls. 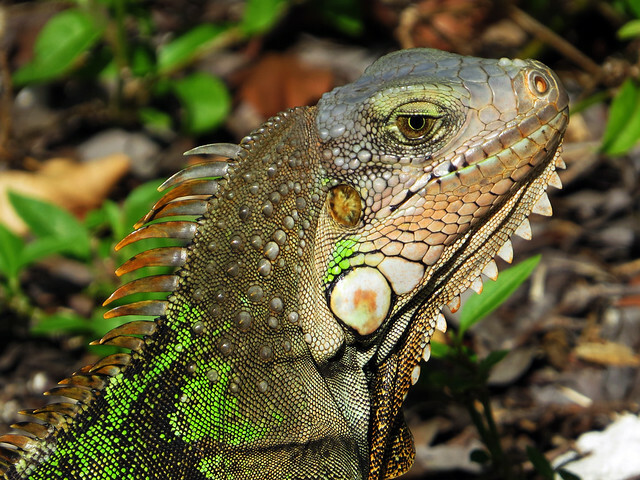 As I relaxed in the garden, Green Iguanas roamed around the Crane House grounds. I had a chance to photograph them as they sunned. 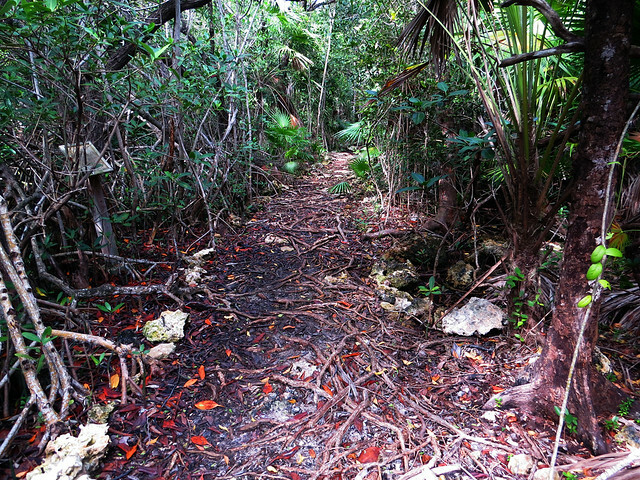 Crane Point is a wonderful piece of wild Florida in the Middle Keys and well worth a visit. I’m sure I’ll be back again! 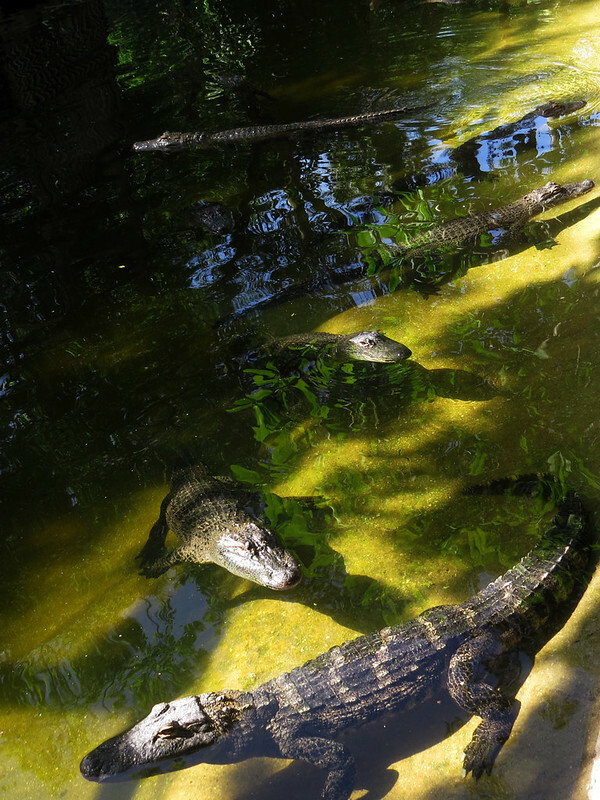 The Everglades Wonder Gardens in Bonita Springs is an old Florida roadside attraction. The Gardens opened in the 1930’s and operated as a botanical garden, zoo with both exotic and native wildlife, and animal rehabilitation center until April 2013. 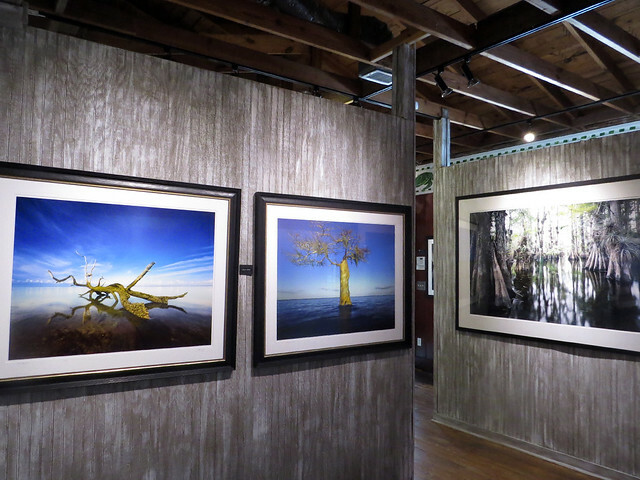 The park closed briefly this spring, but a new lease was arranged by a local wildlife photographer, John Brady, who aims to save and modernize the attraction. While in transition, the park re-opened on June 15th. Arthur and I paid a visit on June 24th. 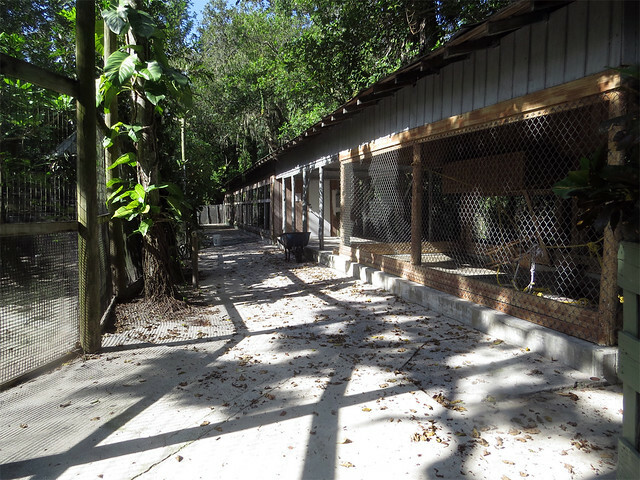 Many of the park’s larger resident animals had already been moved to bigger accommodations at other Florida parks. 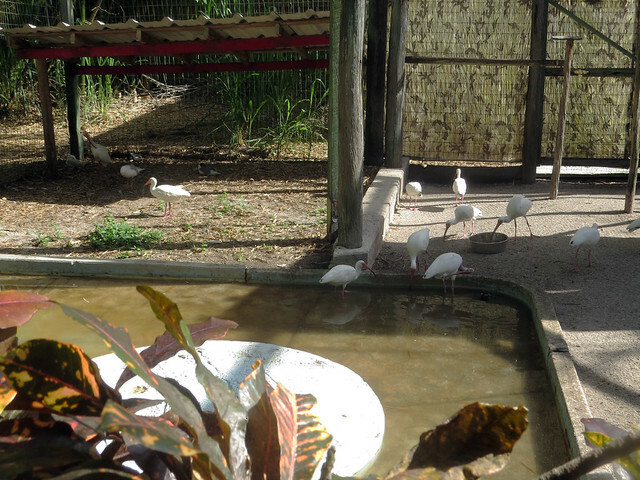 During our visit we noticed that animal enclosures were being opened up or transformed into new exhibits. 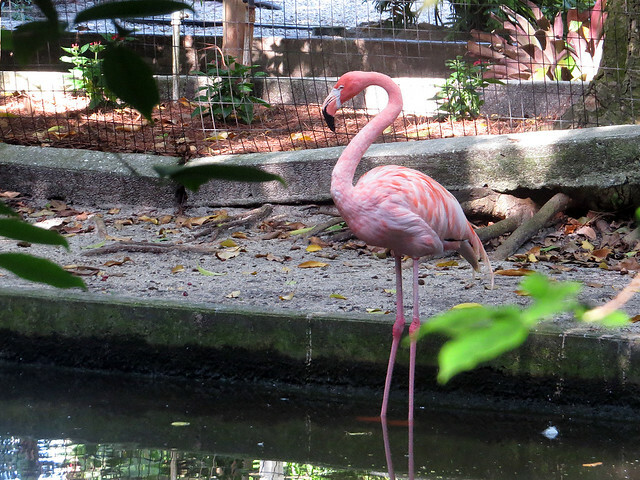 Some permanently injured birds and both native and exotic turtles and tortoises remain from the old days, along with a flock of flamingos. 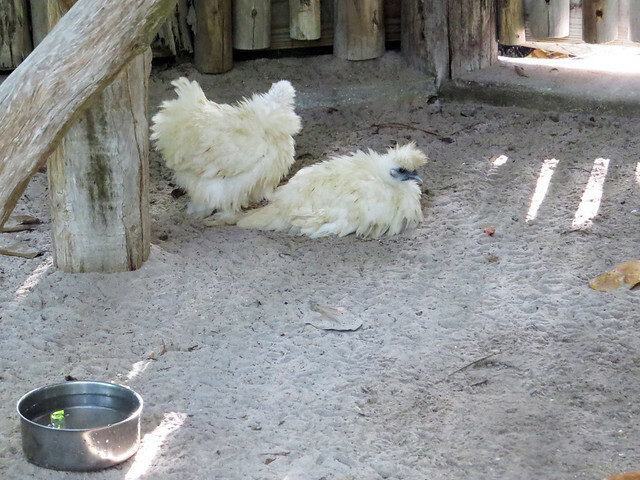 New animals were also moving in; a small flock of fancy domestic chickens had arrived the day prior to our visit. 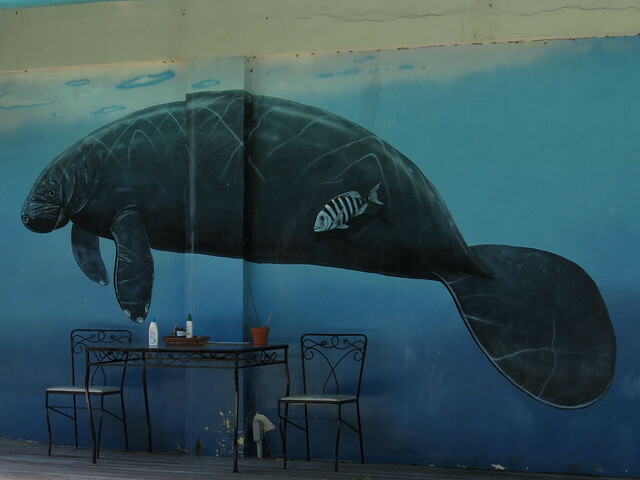 The park grounds hold onto a lot of old charms while the updates improve life for the resident animals and transform the park into a more modern attraction.. The small gift shop and museum were in transition, too. 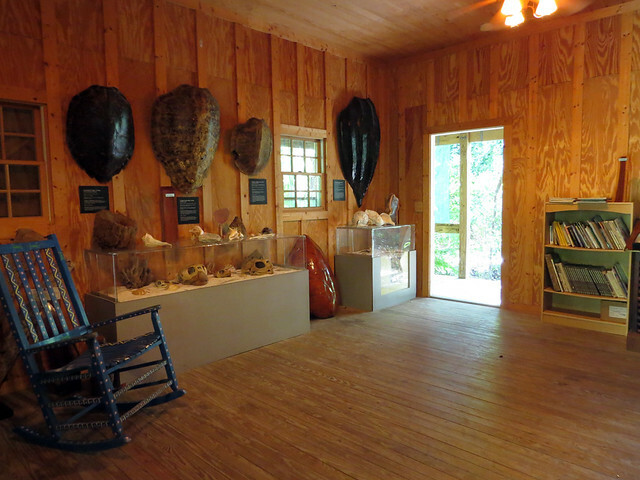 A portion of the exhibit space displays Brady’s beautiful Florida nature photos, while old kitschy specimens and other educational displays remain. 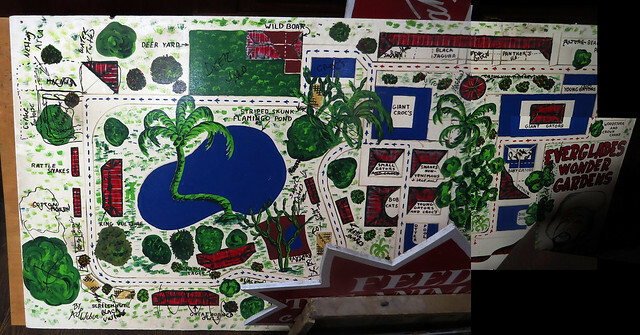 An old map of the grounds revealed the large number of animals on display in the past. 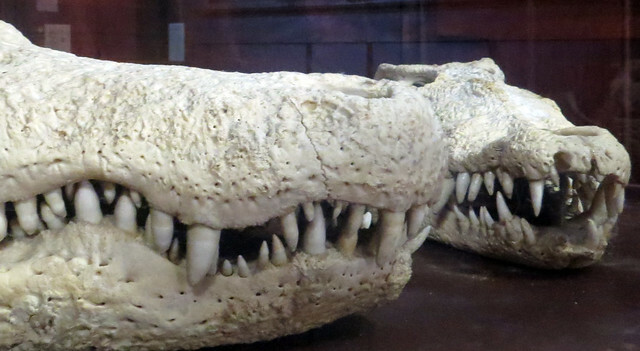 Older exhibits and resident animals included wild boar, black jaguar, rattlesnakes, a Bald Eagle, an otter pool, Black and King Vultures, a deer yard, and more. A grand opening is planned for this fall. 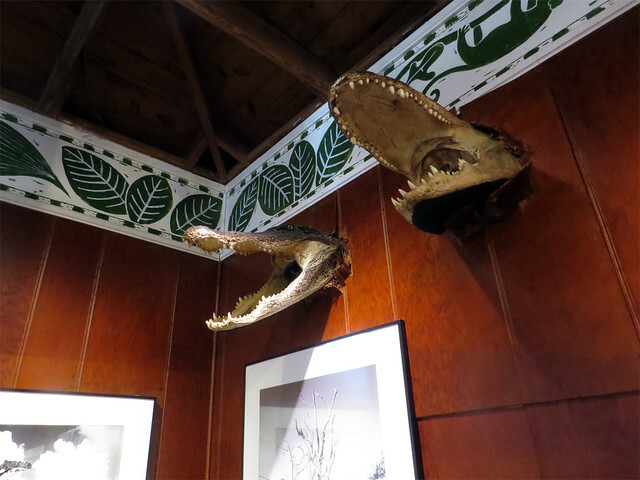 Read more about the Everglades Wonder Gardens at Visual Ephemera. 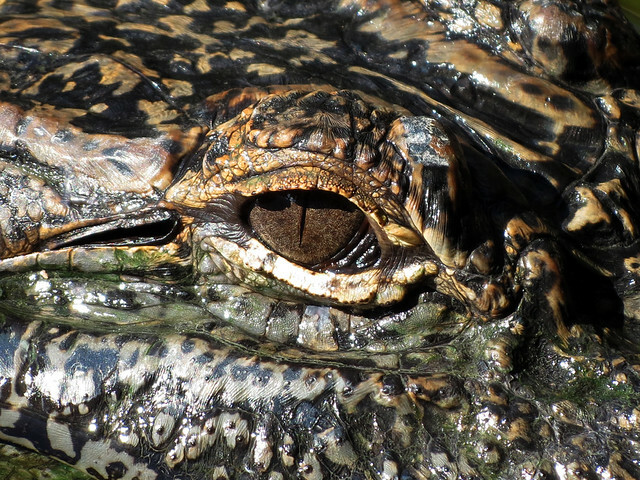 Watch for news and learn more on the Everglades Wonder Gardens website and Facebook page. My last two life birds, and owl and a sparrow, came in two different states. 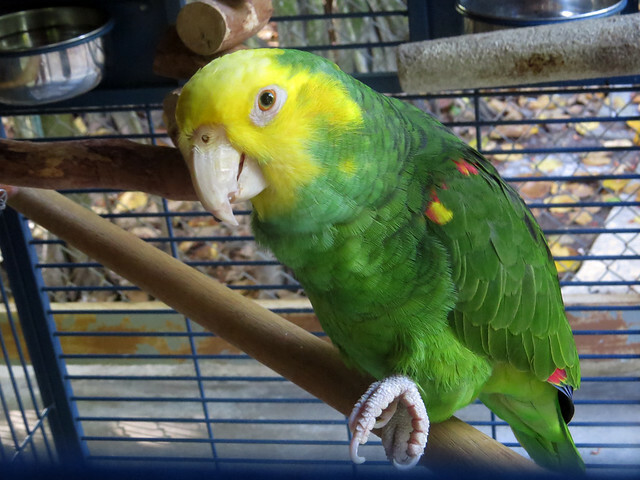 Back in June, Arthur and I took a little sightseeing trip to southwestern Florida. 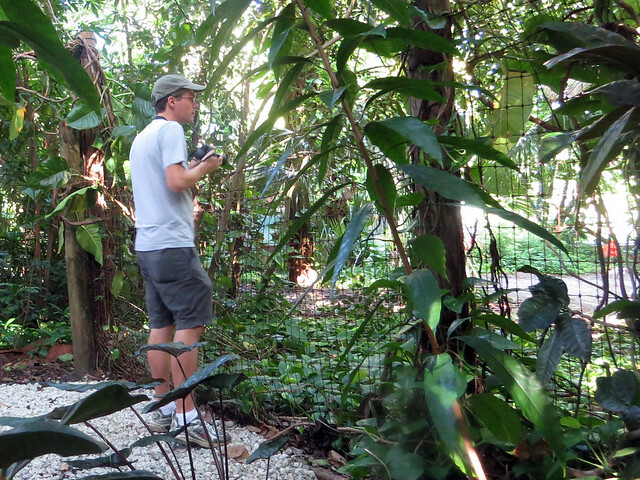 We were based in Bonita Springs and spent a couple of days visiting nature centers and local beaches. 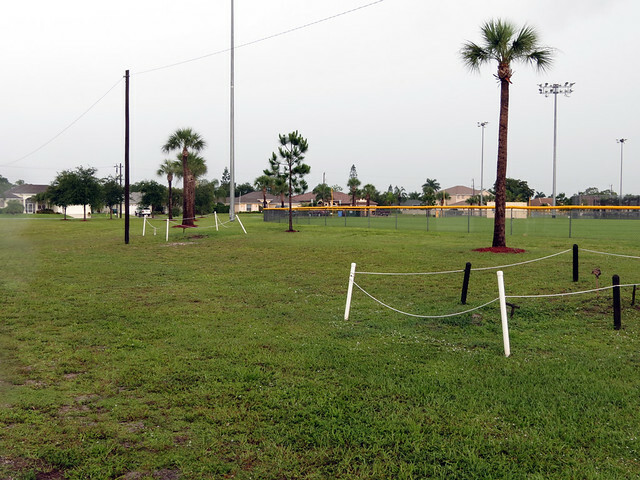 A visit to the Pelican Boulevard ball fields in Cape Coral was on the agenda. 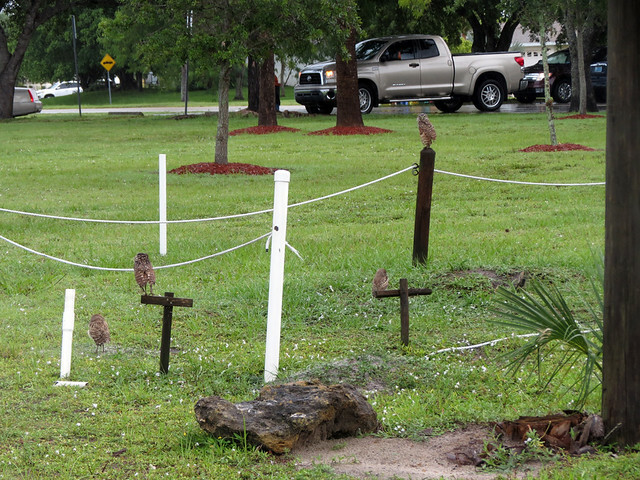 We hoped to see the Burrowing Owls that live on the park grounds. Their burrows were roped off to protect the area. 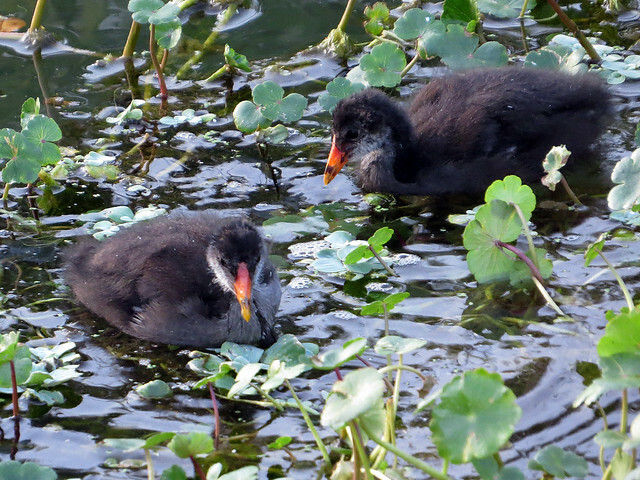 There were babies as well as adults in the bunch. 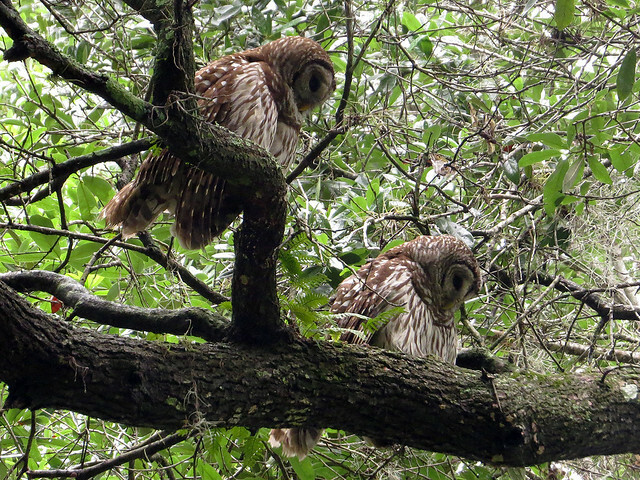 It was pouring rain when we pulled into the parking lot, but the owls didn’t seem to mind. Well, maybe they minded a little. In July I had high hopes to finally pick up a long-overdue lifer. 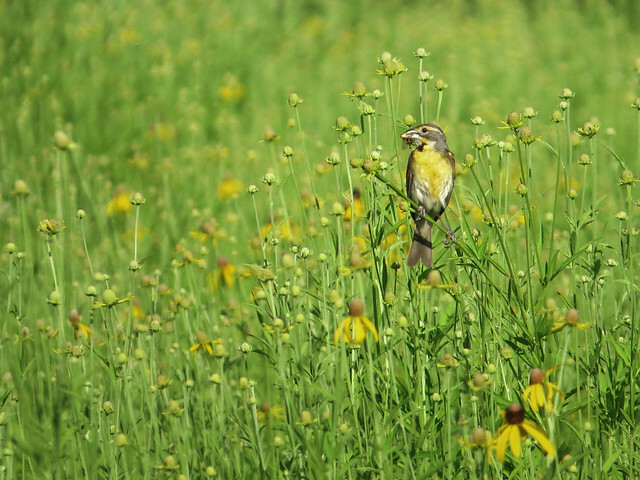 Dickcissels aren’t all that uncommon around where we used to live in Illinois, but somehow I had never managed to see one. That was rectified on July 20 at Fort Sheridan FP. 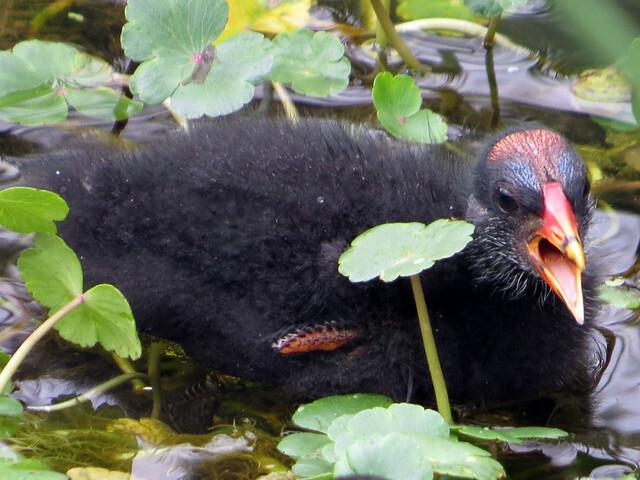 When we first found the male bird, he was singing with his mouth full. 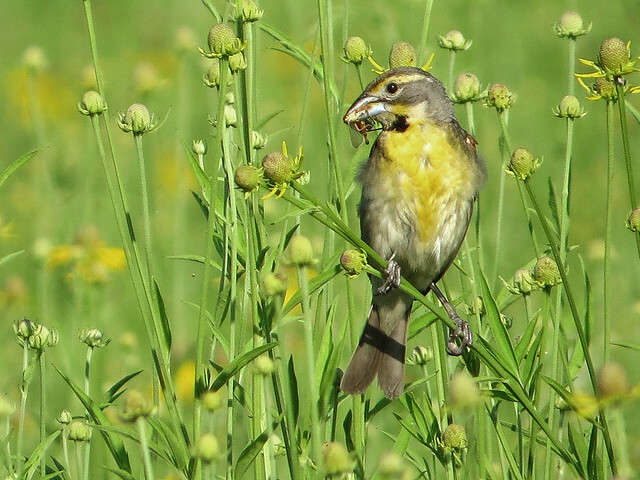 It seemed no one answered him, so he ate his lunch alone and looked around the prairie before flying off. 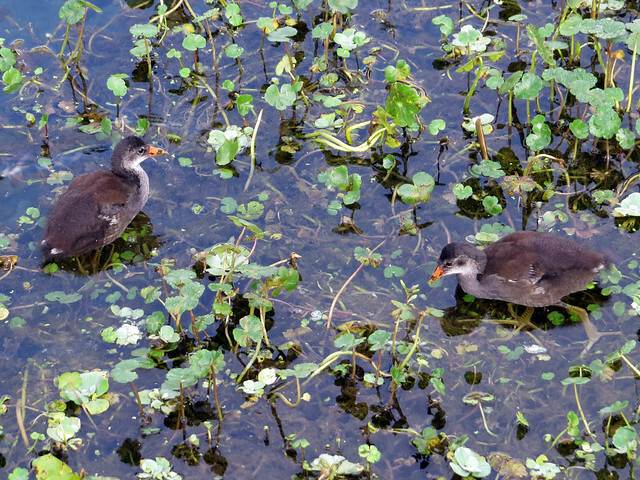 Common Gallinules (the birds formerly known as Common Moorhens) are year-round residents at Gemini Springs. The local population peaks during the winter with migrants who breed further north in the summer; my winter counts get into double-digits through January. 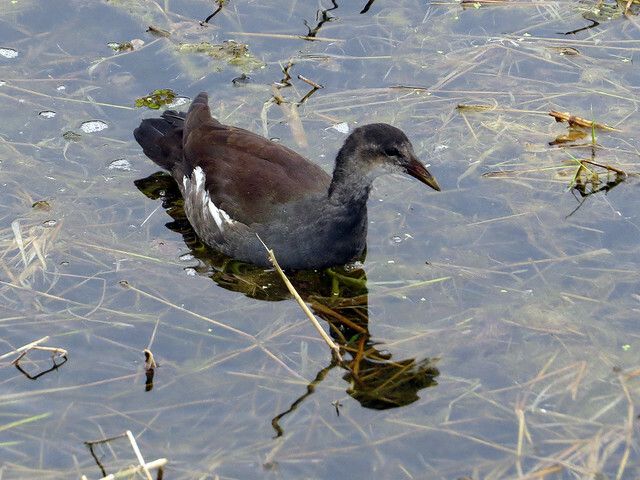 During the summer I see far fewer gallinules at the park. 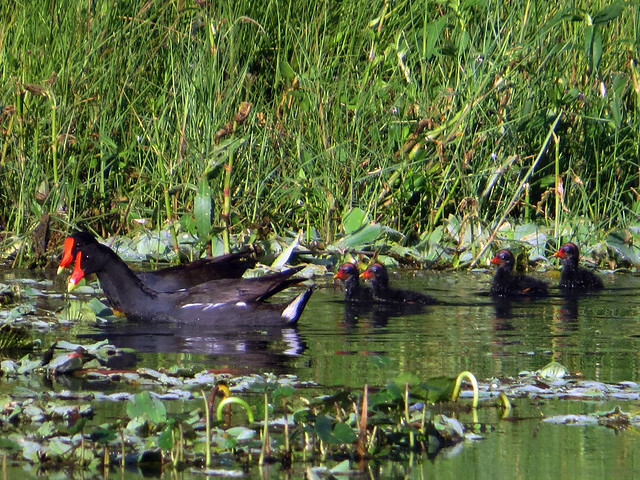 Maybe the bayou isn’t big enough to support harmony among more gallinules in the summer months? 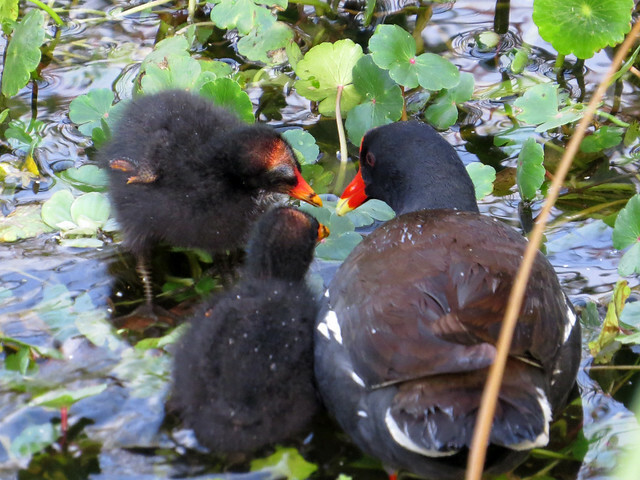 Anyway, this year I had fun watching a little family of Common Gallinules grow up. Note the dates on the following photos; many were taken just a few days apart. 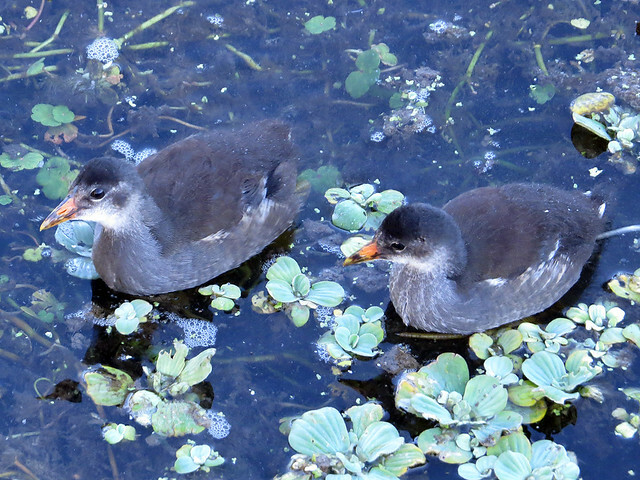 June 16th was the last day I saw the young birds, but adults were still around. 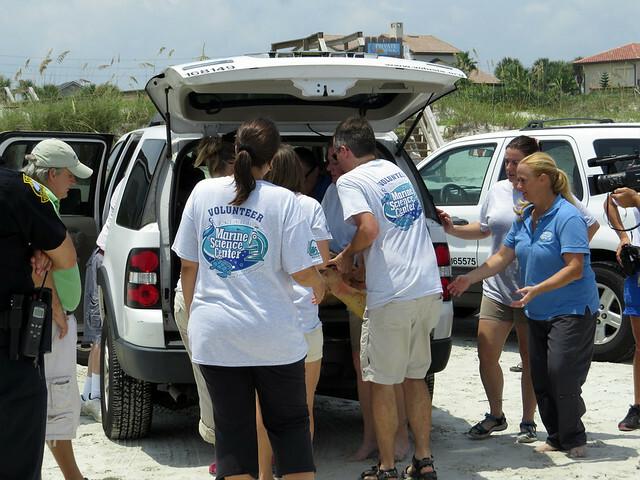 While Arthur’s parents visited us earlier this year, Arthur went to one of his regular volunteer days at the Marine Science Center (MSC) in Ponce Inlet. All four of us drove to the sea and while Arthur did turtle work, I went to Lighthouse Point Park with my in-laws. It was May 1st. We had lunch and then we walked out on the jetty and had a look around. 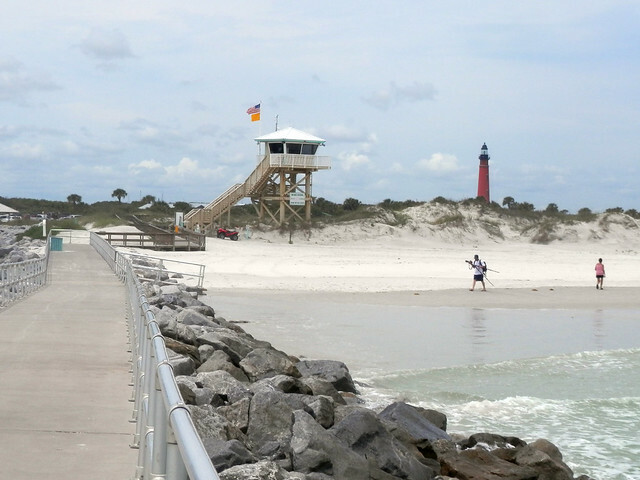 Here’s a look back at the beach patrol tower from the jetty. About 40 minutes later, we were walking back and I saw a large mass on the beach, about halfway between the tower and the waterline in the above photo. I started running, because I thought it might be a sea turtle. 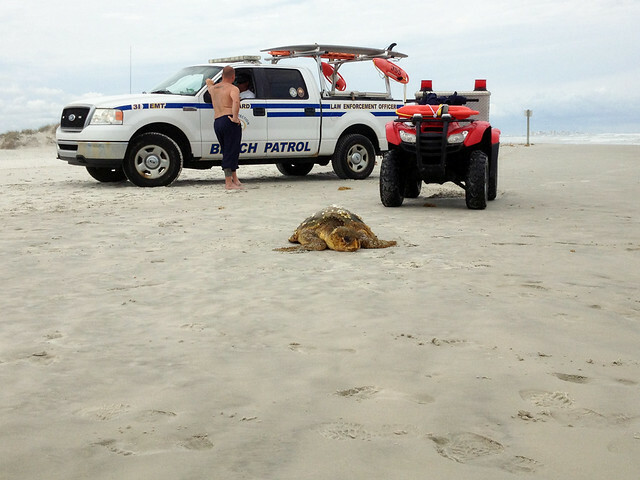 It was a beached Loggerhead. It had beached during the short time we were on the jetty. I immediately called the Marine Science Center to let them know there was a turtle that needed to be rescued. 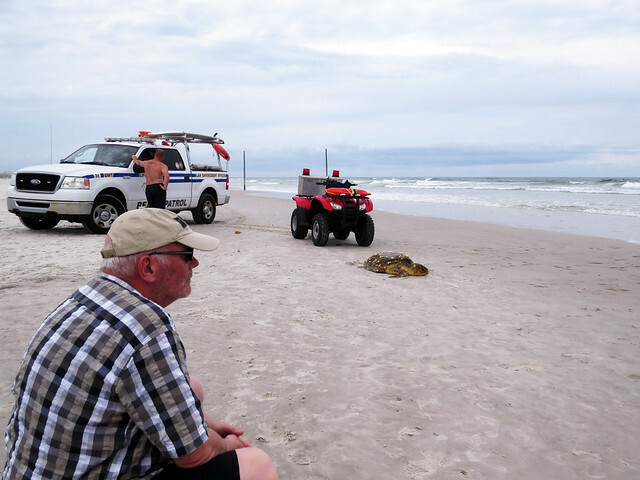 Meanwhile, a beach patrol officer pulled up on a buggy and carried the turtle out of the waterline so it would not be washed back to sea. 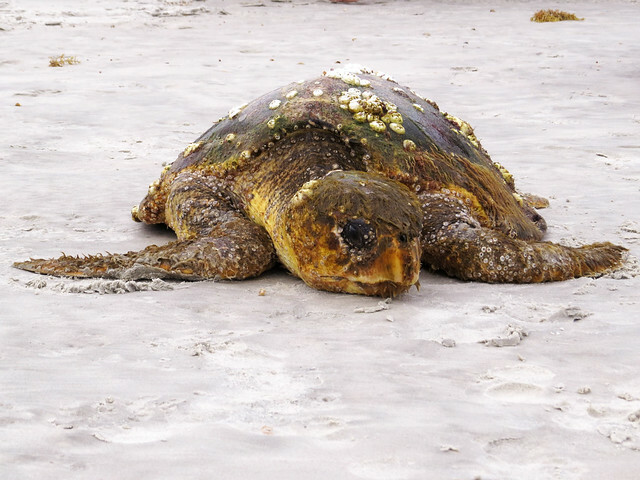 A beached turtle is always in trouble and should not be put back to sea without being examined first. We waited for turtle experts from MSC to arrive. 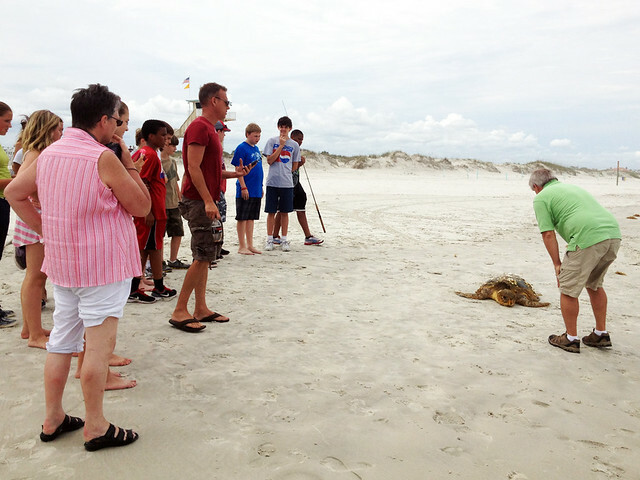 When MSC staff arrived, they evaluated the turtle. 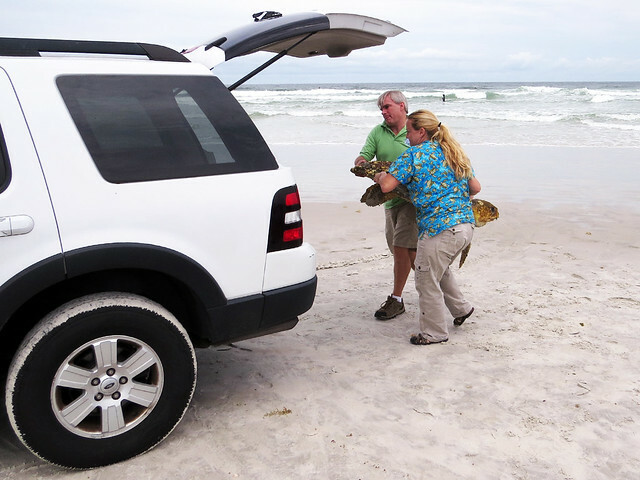 They realized they needed a larger vehicle to transport the turtle, which weighed in at over 100 pounds. We waited some more. A small crowd gathered. 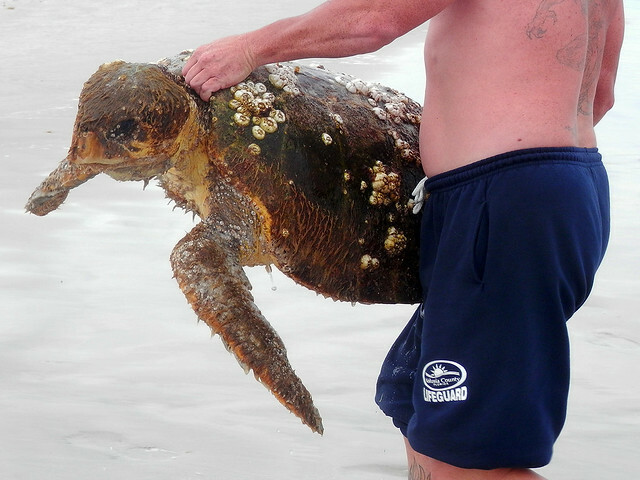 With the right vehicle, the turtle was carried off and brought to MSC for examination and rehabilitation. 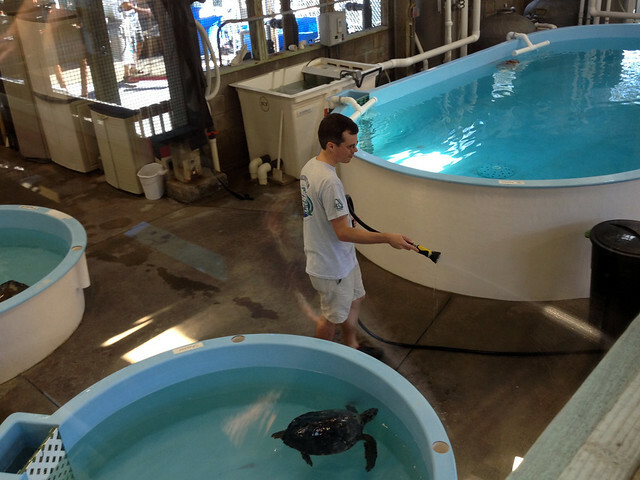 The Loggerhead was examined and given care. It was underweight and weak but had no major injuries. 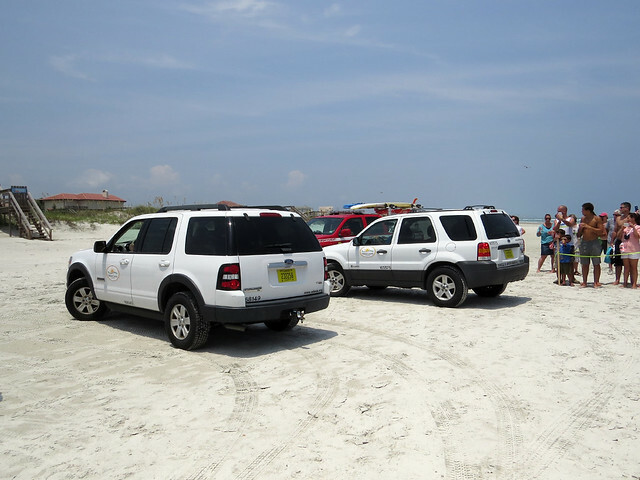 The cause of its beaching and ill health was unknown. The size of the turtle made sexing difficult, though I will now refer to it as she. 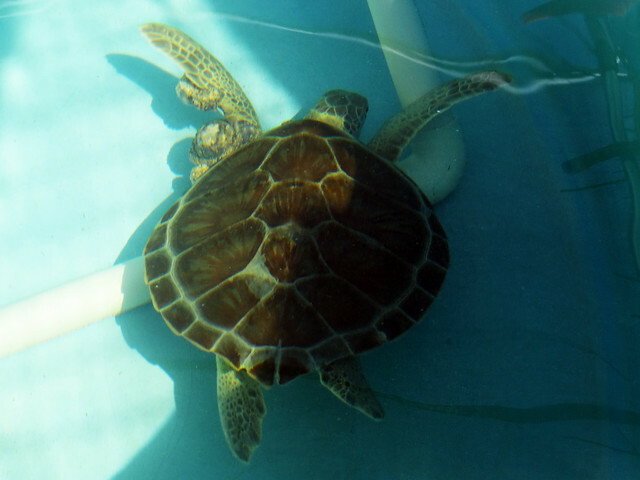 She was given the name Zee, the Dutch word for sea and a shortened form of Zeeschildpad, the Dutch word for sea turtle, in honor of Arthur’s Dutch family. 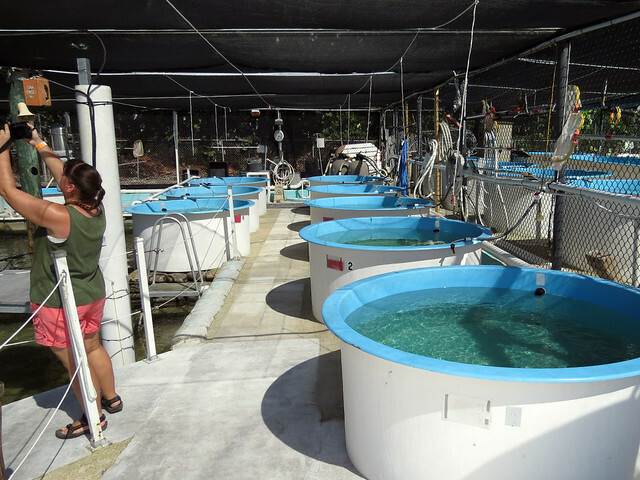 Rehabilitating turtles at MSC are kept in large saltwater tanks like the ones pictured below. These were taken earlier and do not show Zee. Arthur took photos of Zee during her rehab. She was cleaned up and given care and nutritious food. She ate like a champ from the beginning, which was a very good sign. We last saw her on July 10th. Arthur volunteered that day and I came along to visit the Marine Science Center. 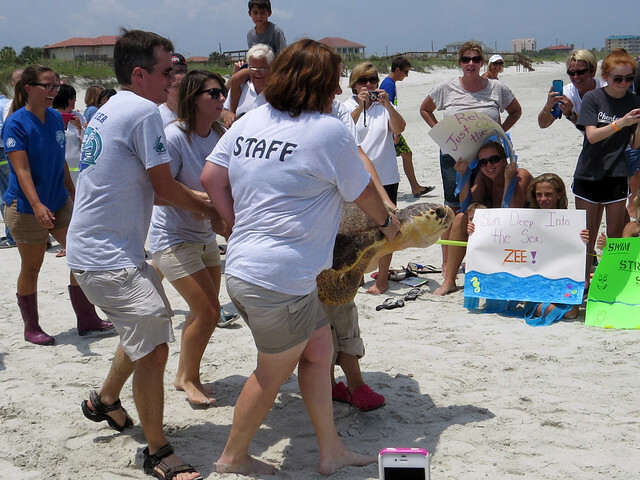 After some months in rehab, Zee was determined healthy enough for release. 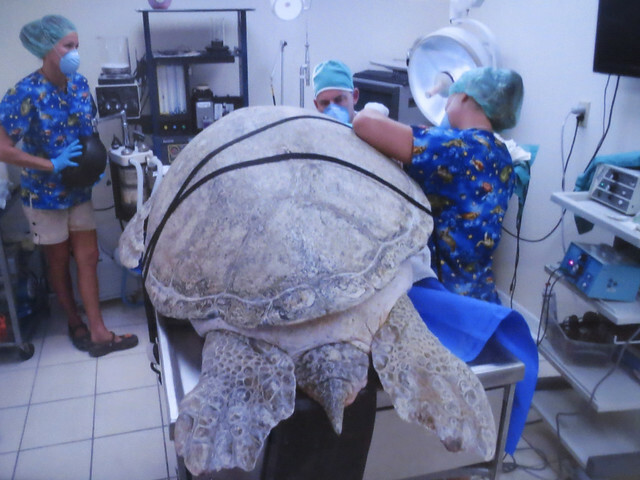 She gained 18 pounds and was ready to go, along with two other smaller Loggerheads. MSC announced the August 6 release to the public. And the public showed up! Just after 1PM, the guests of honor arrived in two vehicles. Seymour and Parker, 55 pounds and 85 pounds, respectively, came together. Big Zee got her own ride. The releases were awesome. 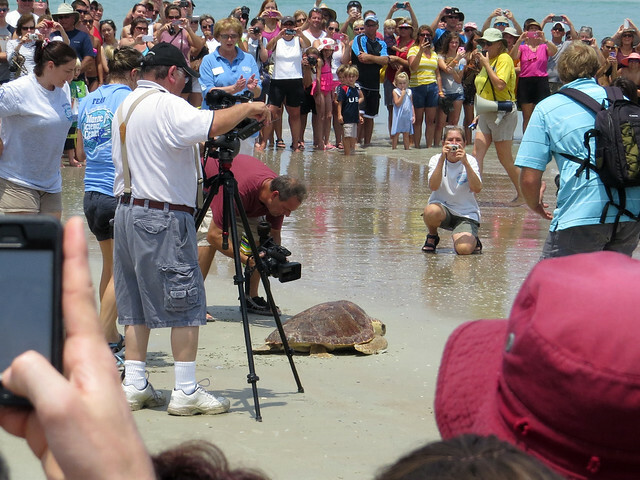 It was so great to hear the crowd cheer when the turtles came out and made their way back to the ocean. People were especially impressed with Zee, as she was so much larger than the others. I have a few photos and a video to share, but I was mostly watching, so I don’t have great footage of everything. At the end of this post I will share some links to media sites with their coverage of the event. Seymour was up first; you’ll see him in the video at the end of this post. 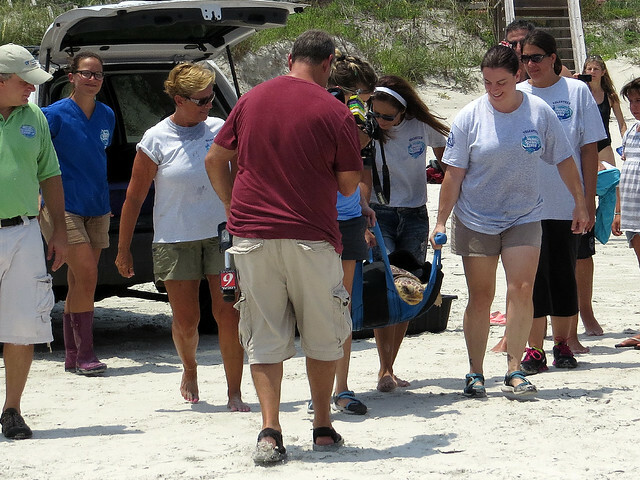 Seymour was found by Beach Patrol, so he was carried out by four Beach Patrol volunteers. Next came Parker, who was carried out by MSC volunteers. Like Seymour, Parker was carried out in a sling. 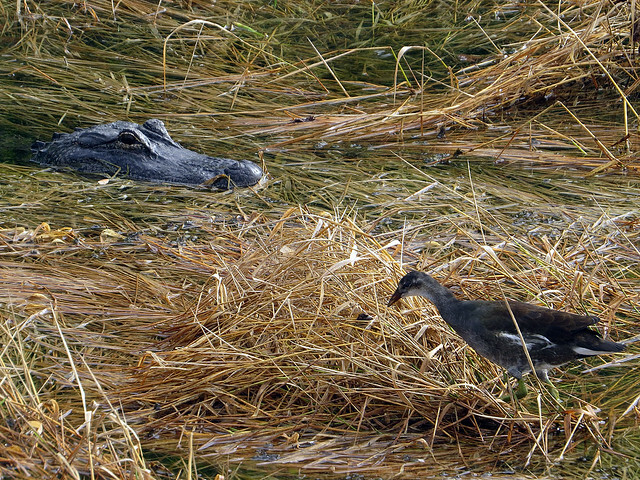 He was set down close to the waterline and the sling was removed. Finally, it was Zee’s turn. 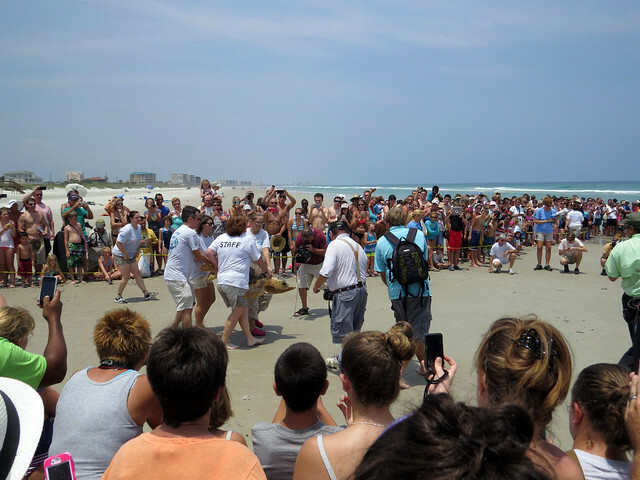 Staff and volunteers, including Arthur, carried her to sea. After she entered the water, the crowd began to disperse. Those who kept watching were treated to several great looks at Zee surfacing for a breath. Here is a video compilation of the releases. It was awesome to be able to see Zee return to where she belongs. 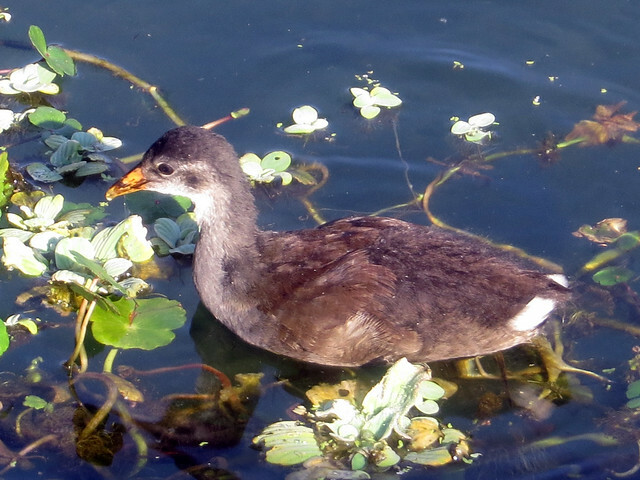 She is a sub-adult, meaning she is not yet sexually mature. When she is ready, she will come back to the ocean close to where she was hatched and find a mate. Good luck, Zee, Parker, and Seymour! If I find more coverage I will add links here. 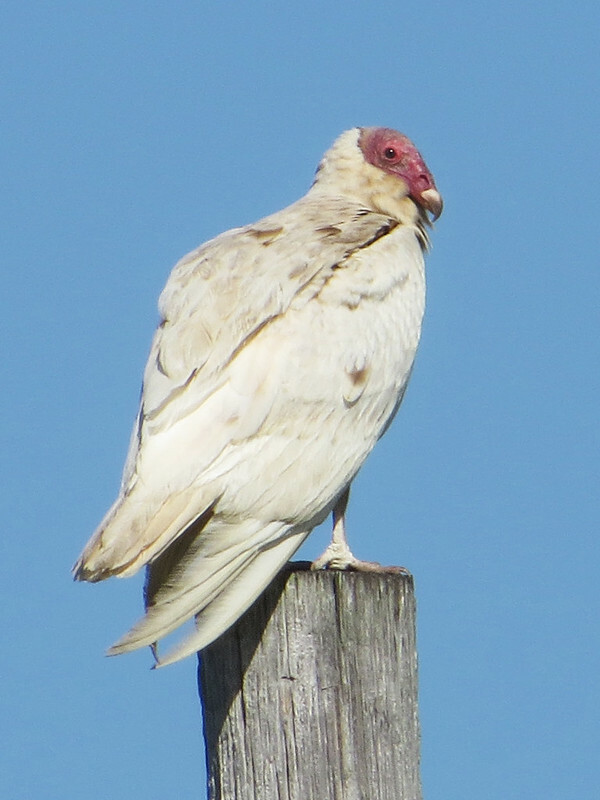 On April 10th, the 100th day of the year, I figured I had 23 “easy” birds left in the Bird-a-Day challenge. 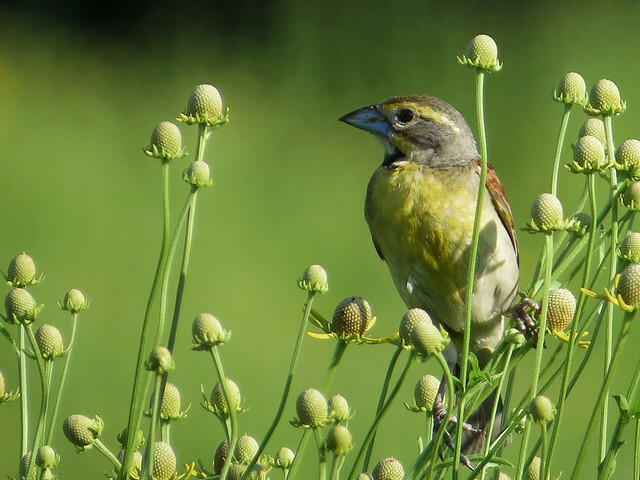 And with birding prospects bleak (house guests coming, a move to complete and new home to work on), I wondered if I would even make it that far. Since the number of expected possible birds was relatively small, I used that handy prognosis list as the days wore on. Nine of these were on my prognosis list. The one unforeseen species was a Least Tern. At least one LETE was seen at Ponce Inlet during a trip there with Arthur and my friend Kim who was visiting from Illinois. That left just 14 gimmes from the prognosis list. Lasting until May 23rd, to at least match my 2012 performance, seemed unlikely. I lucked out here; half of this bunch weren’t on the ‘easy’ list, even though a couple of them kind of were easy. 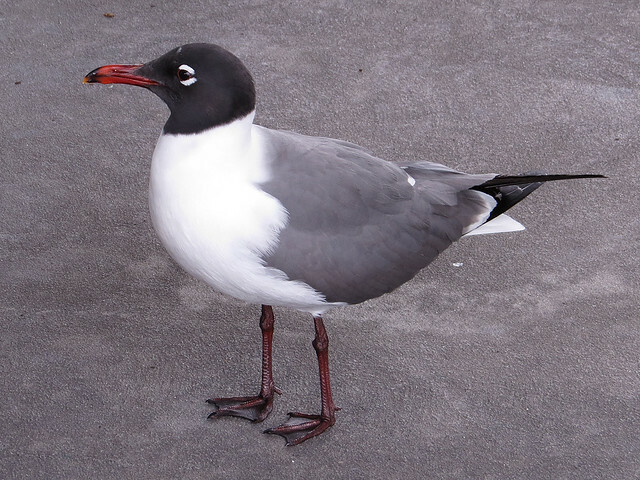 When we went to Kennedy Space Center with Arthur’s parents on the 28th, I knew before we even left the house that my bird would be Laughing Gull. I always can count on finding a Mallard at Disney, so it isn’t so remarkable that it was my bird when we visited Animal Kingdom. 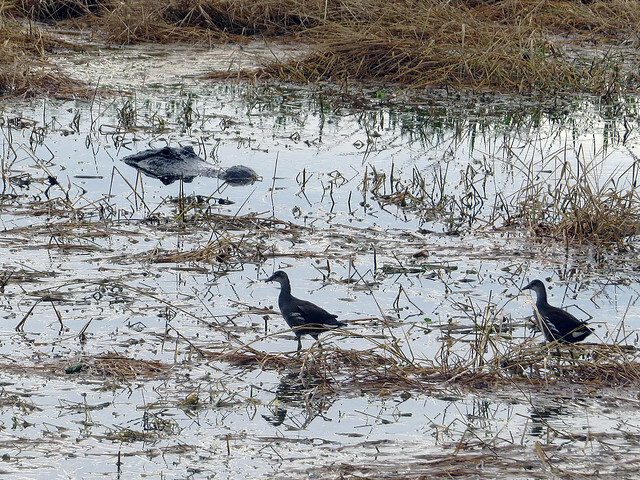 A pair of unexpected Spotted Sandpipers at Audubon Park was a great bonus. 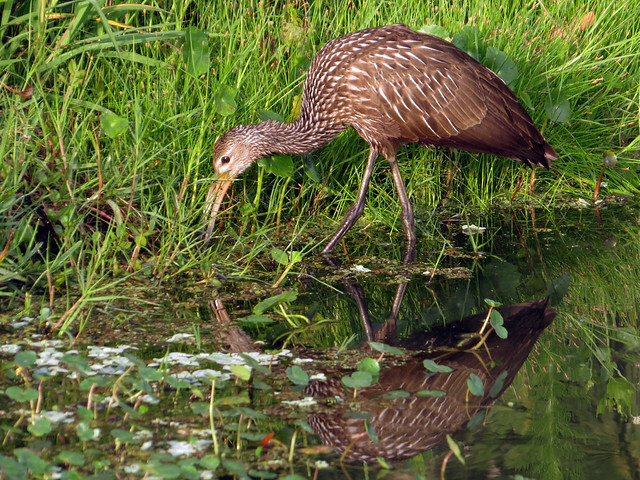 And I was extremely excited to finally, finally get my FOY Limpkin on April 24th (!!). Finally, during a visit to Merritt Island with Kim, a marathon birding-by-car excursion yielded a very welcome Peregrine Falcon. With just five ‘easy’ birds used, I still had nine left. Could I make it another 23 days? 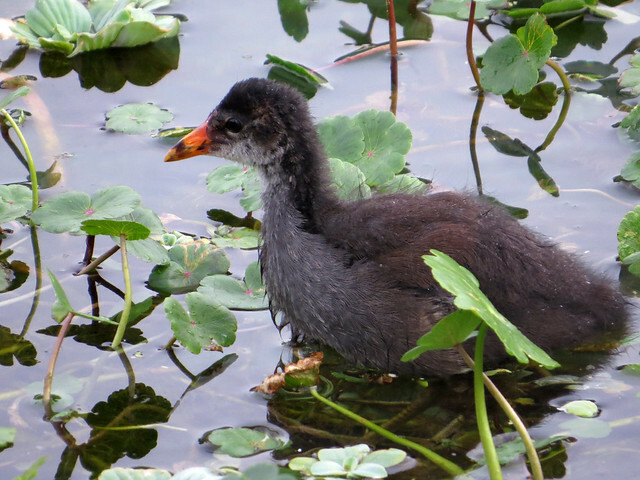 Another ten days, and another five “unexpected” birds. On a couple of day trips with my in-laws I managed to pick up Sandwich Tern and Royal Tern. 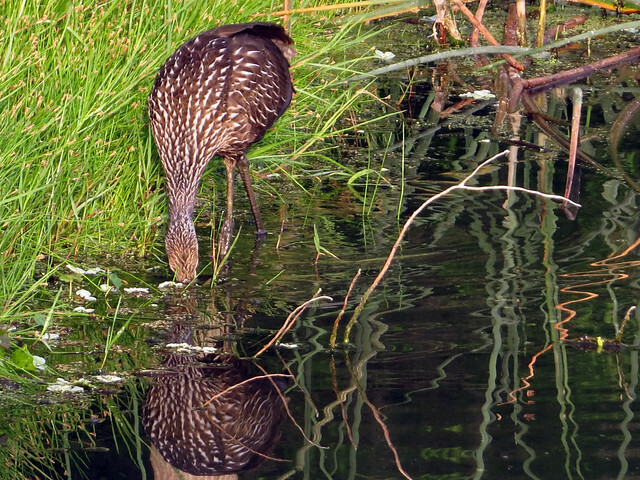 An evening at Downtown Disney brought a flyover peenting Common Nighthawk, and a very quick visit to Mead Garden after a volunteer shift got me Northern Waterthrush. I also used Muscovy Duck in this group but I should have included it in the ‘easy’ list. That’s a given at Gemini Springs lately, unfortunately. It was during this period that I booked a flight for a quick trip up to visit my parents in northern Illinois for May 16-21. I had four easy birds left before my flight… four days later. Yikes. Right off the bat I used a super-easy gimme: Red-shouldered Hawk. 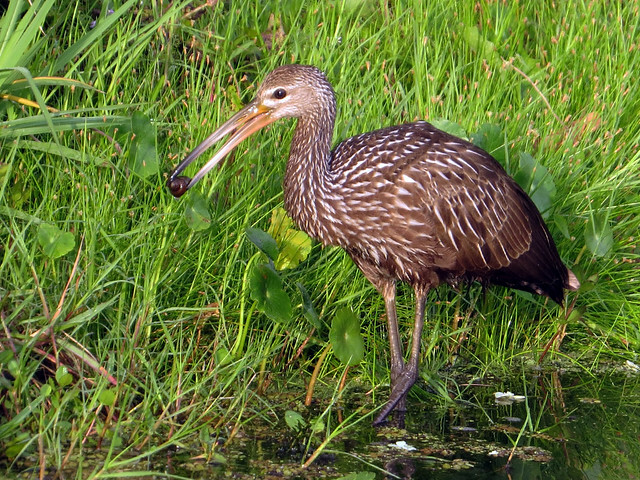 On May 12th Arthur and I took a walk at Lake Woodruff NWR and I heard a Clapper Rail which was the best bird of the day — even though I got my first Florida Bobolinks on the same walk. This was followed by the super-easy Boat-tailed Grackle and then a totally unexpected Caspian Tern flyby at Lake Monroe Boat Ramp. I had driven to the ramp to look for Barn Swallows but after the tern I didn’t mind missing them. After this group of ten birds I had one more day in Illinois and three days total to reach my target of May 23. A Swainson’s Thrush in my parents’ back yard on my last day in Illinois was a good find. On May 22nd I again drove to Lake Monroe Boat Ramp to look for Barn Swallows. Again I struck out on my target, but a totally unexpected pair of Black-bellied Whistling Ducks saved the day — they flew by just as I was about to leave. My FOY BBWD too! On May 23rd I tried one last time to find Barn Swallows at the boat ramp, and struck out for the third and final time. 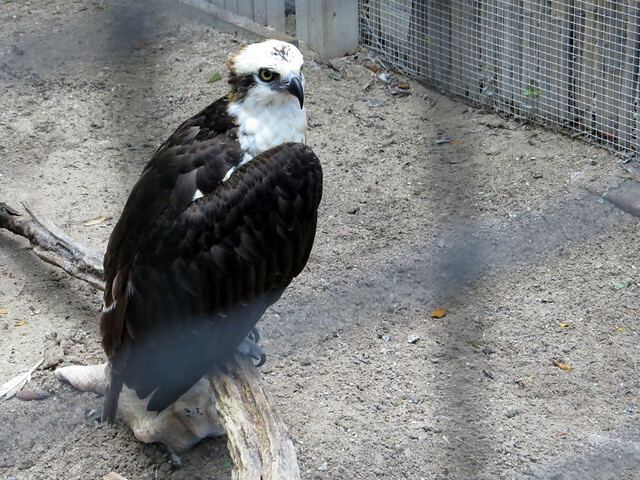 I was happy to have made it as far as I did — after all, I had gimme Osprey left, and it was May 23rd. I used the same last bird from 2012 for this year’s challenge, on the same date. I never thought I would make it so far, so I was actually well pleased. That is, until I realized that last year was a leap year. So I was out of the game on the same date, but one day short of last year’s final. Yeah, that stings. I am not yet sure if I will try again next year. In April I will (if all goes to plan) be spending 8 days at sea on a transatlantic voyage from Miami to Barcelona. I doubt I will be able to find birds each day during the crossing, so that may be a good excuse to forgo the challenge next year. We shall see! Meanwhile, tomorrow is June 1st and that means a new challenge awaits! 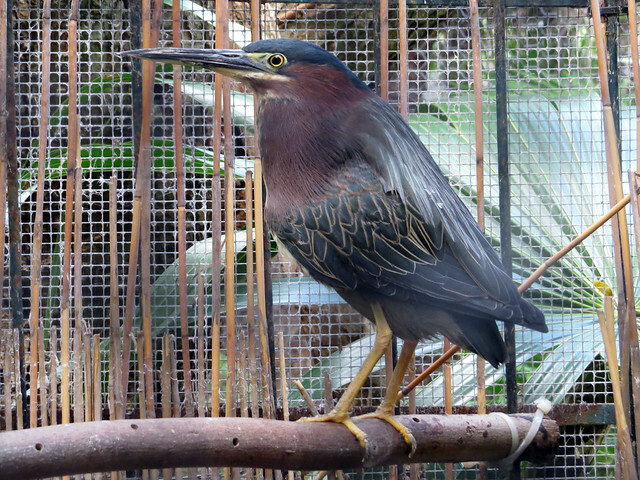 Are Grackles Birds of Prey? Earlier this month, a question about Common Grackles was posed on the Illinois listserv: Are Grackles birds of prey? 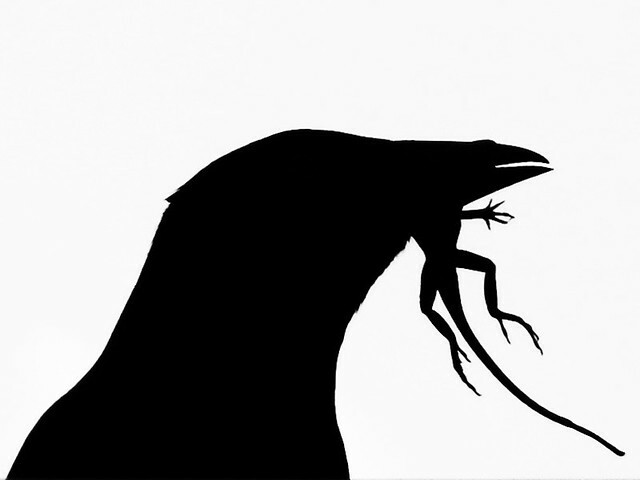 The reason for the question: the person who asked had witnessed a grackle preying upon nestling sparrows. There are various definitions that apply to the term bird of prey. 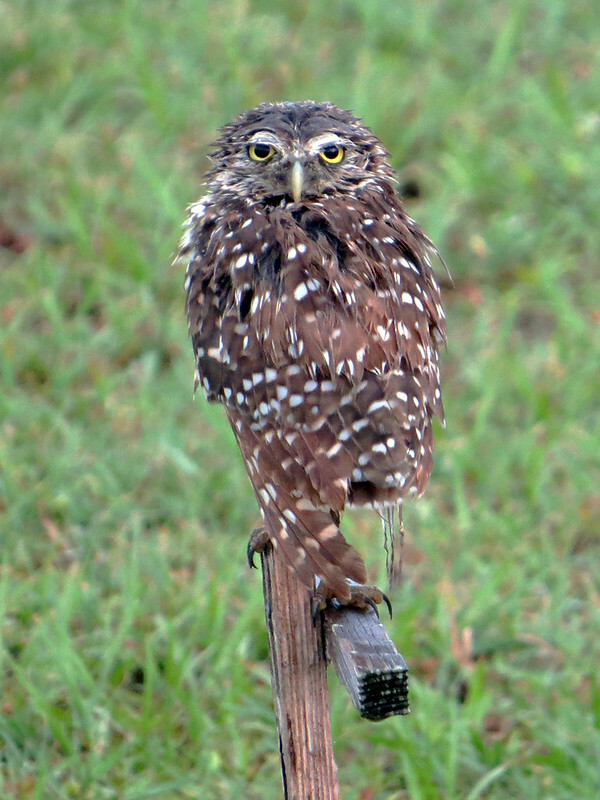 Birds of prey are hunters that capture food items (prey) using their specially adapted strong feet and sharp talons. 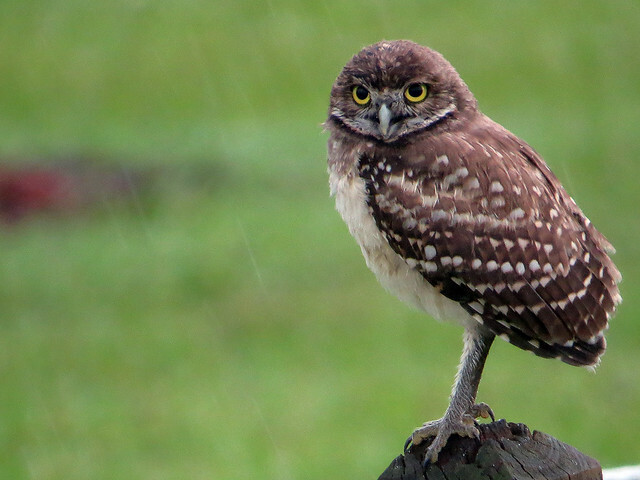 Birds of prey mainly hunt vertebrates, including mammals and other birds. A bird of prey belongs to the taxonomical order Falconiformes*. 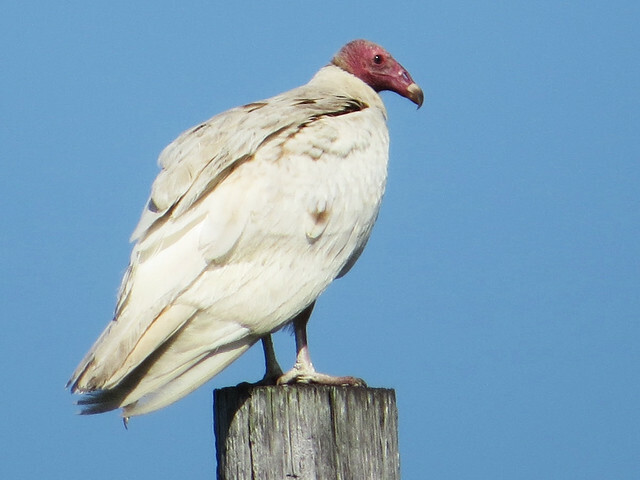 Birds of prey are carnivores at the top of the food chain. Common Grackles are omnivorous; they eat berries, seeds, and other plant material as well as eggs (raided from nests), frogs, insects, and fish (which they hunt). 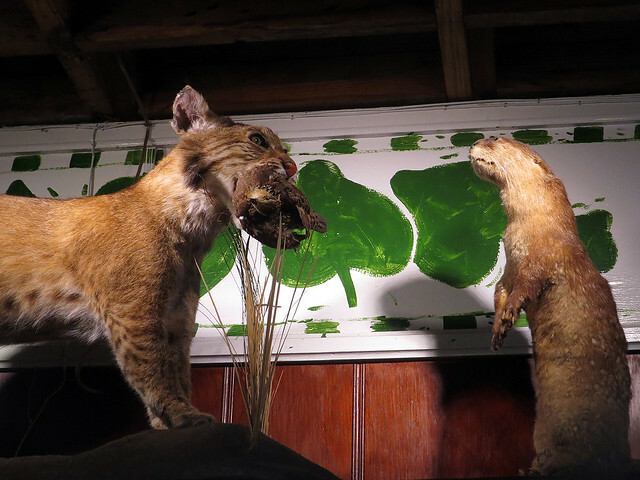 They are opportunists; they may hunt and kill prey including small birds and rodents in some circumstances. 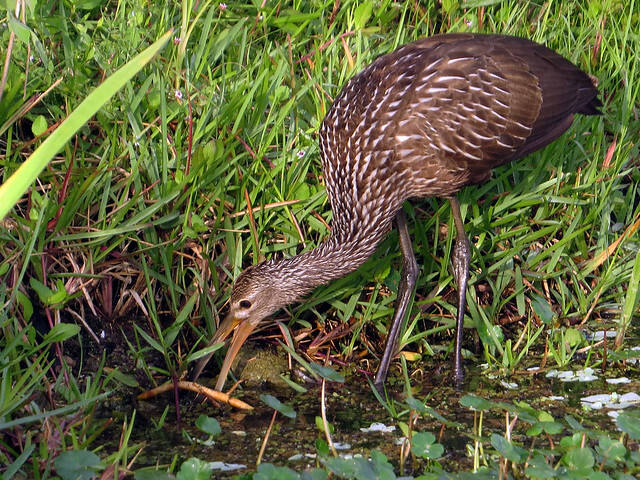 They forage and hunt mainly by using their beaks. 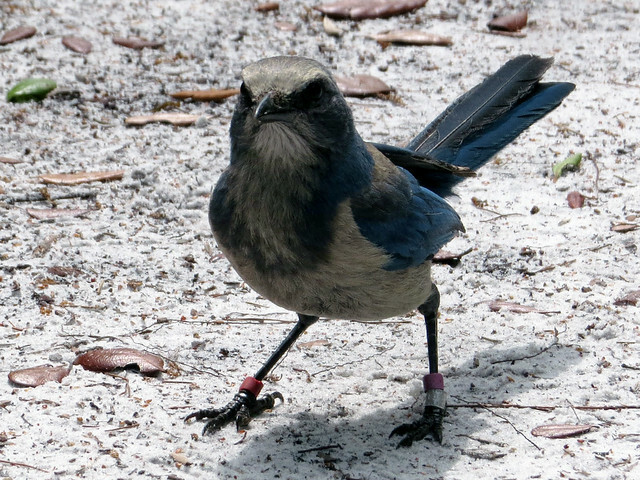 Common Grackles belong to the large songbird order Passeriformes. According to The Birds of North America Online, year-round, Common Grackles eat a diet of 70 to 75% vegetable (seeds, fruits, etc). 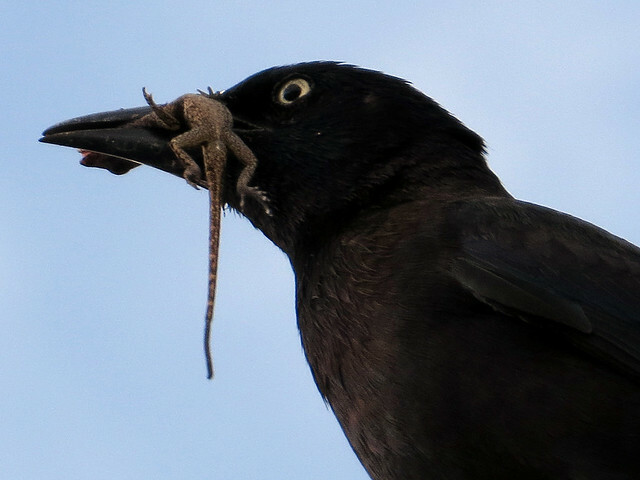 So though a grackle may capture and kill a prey item, it is not a bird of prey. 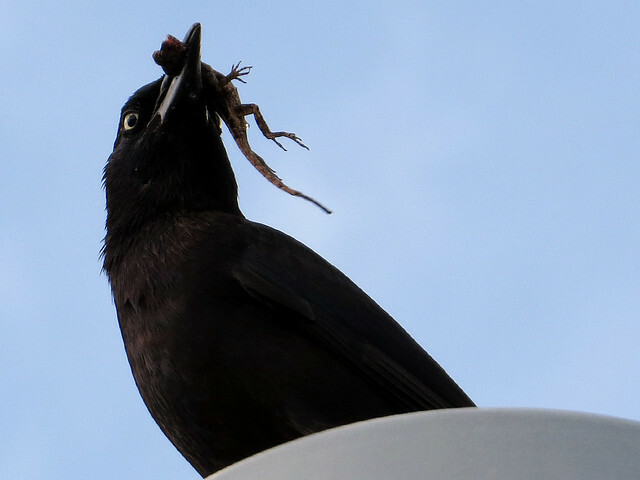 While visiting the Kennedy Space Center Visitor Complex with my family last month, I noticed a Common Grackle carrying a small anole (lizard) in its beak. It was hopping around the LC-39A walkway structure and vocalizing. 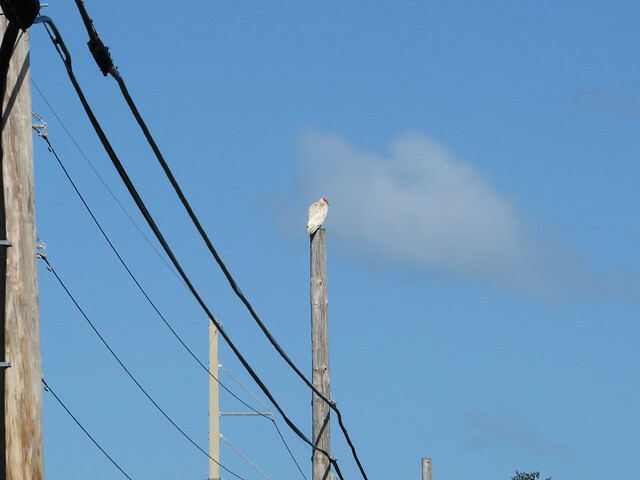 I wondered if it was trying to get to hungry nestlings somewhere on the structure, but I had to leave before I could find out the bird’s eventual destination. *There are conflicting schools of thought on how some birds of prey should be classified. 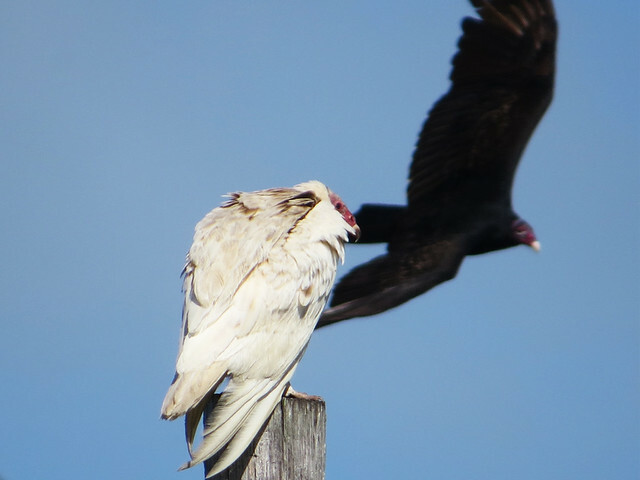 Depending on what taxonomy is followed, birds of prey may fall into one or two or more different orders.